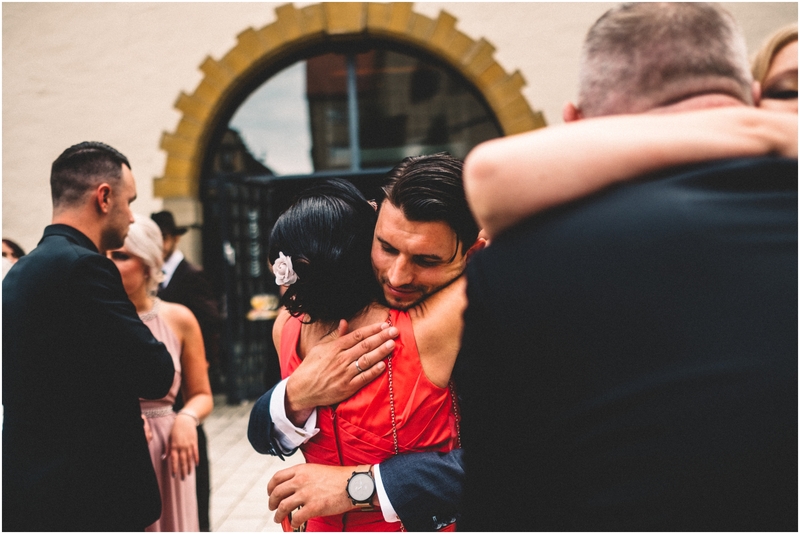 “I know people get married everyday but no one could prepare us for the rush of adrenaline, the feeling of warmth, love and happiness that echoes the whole day and night – especially, if like us you stay up to dance till sunrise as you don’t want the day to end. 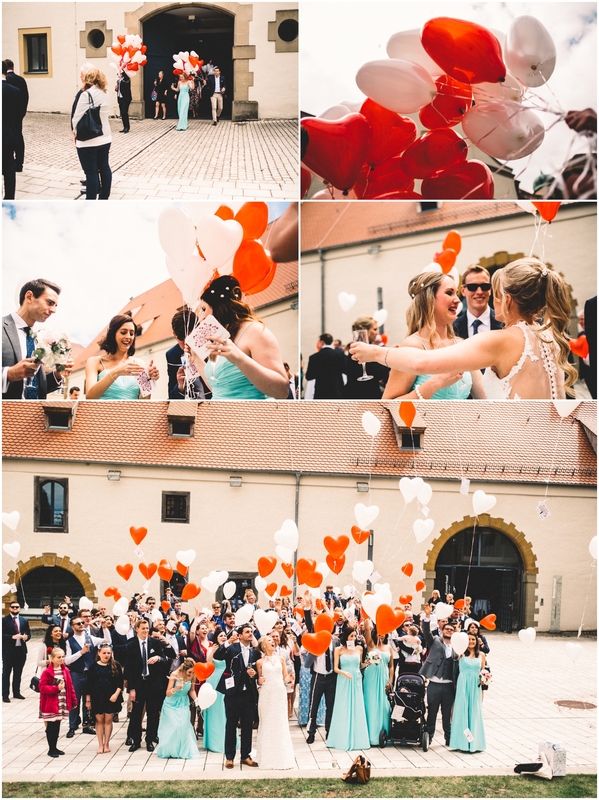 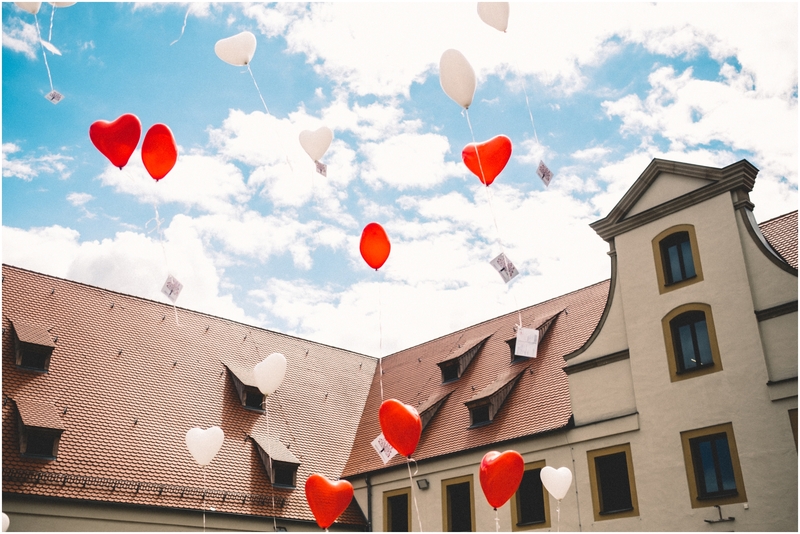 As we were lining up after the service, we saw a couple of friends reappear (Veni, Götz, Bolle and Verena) with so many heart shaped balloons as a surprise for us. 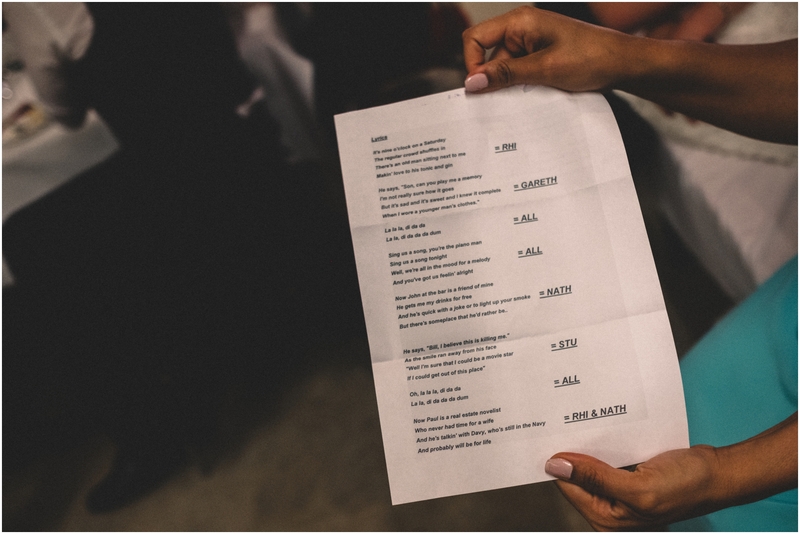 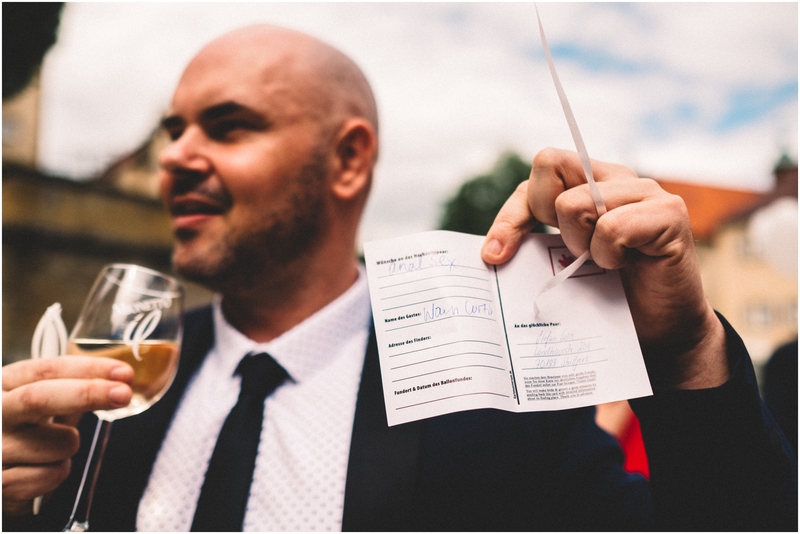 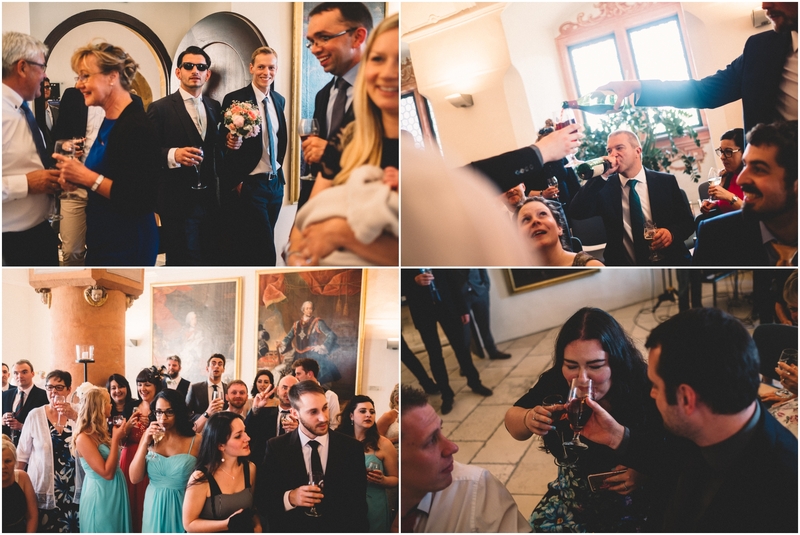 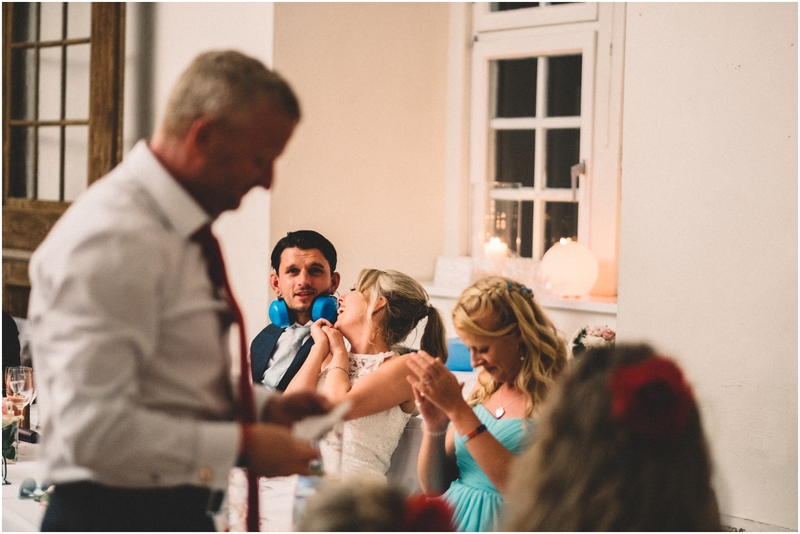 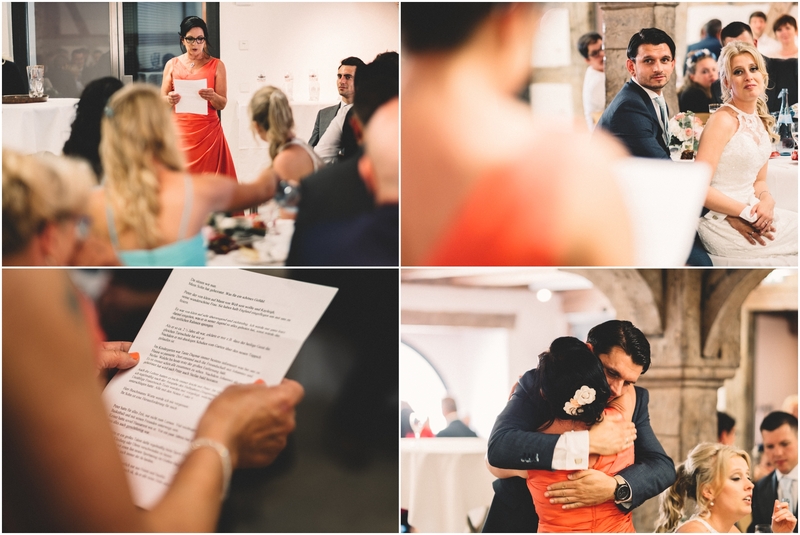 The guests had to fill out a postcard with a promise on it which they would then tie to the balloon, if that postcard then gets returned then the guests will have to fulfill the promise – needless to say, some of the promises were quite hilarious! 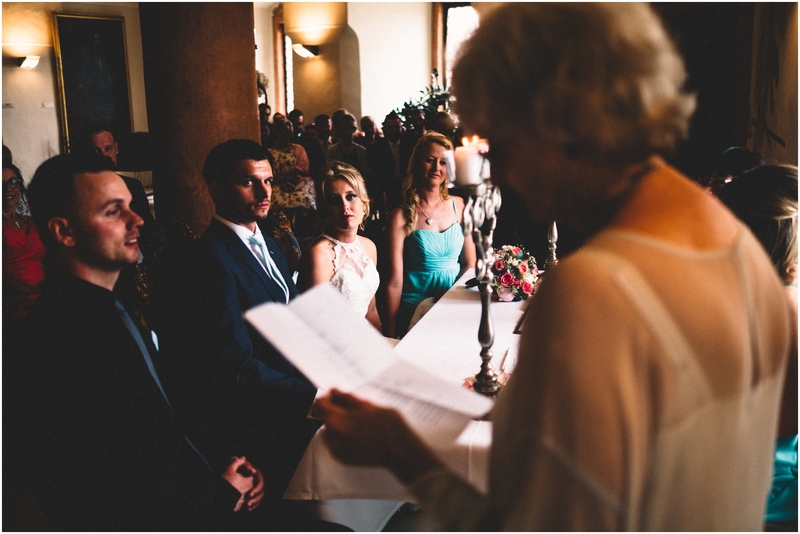 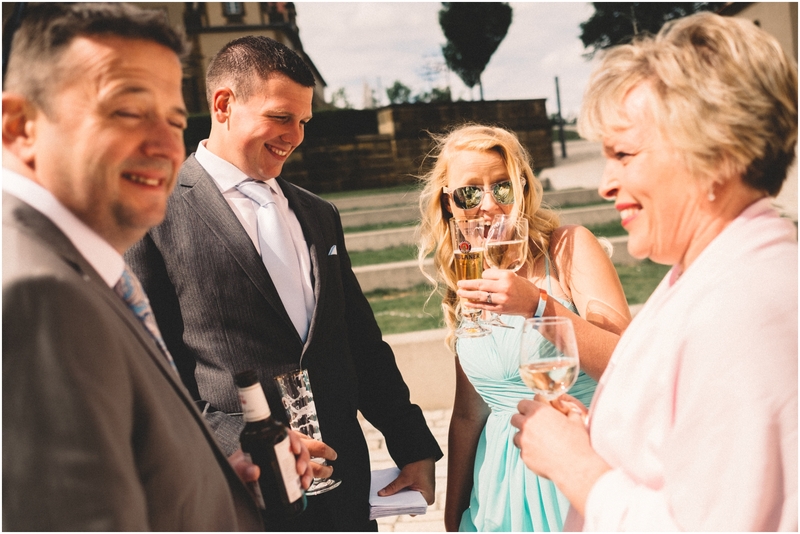 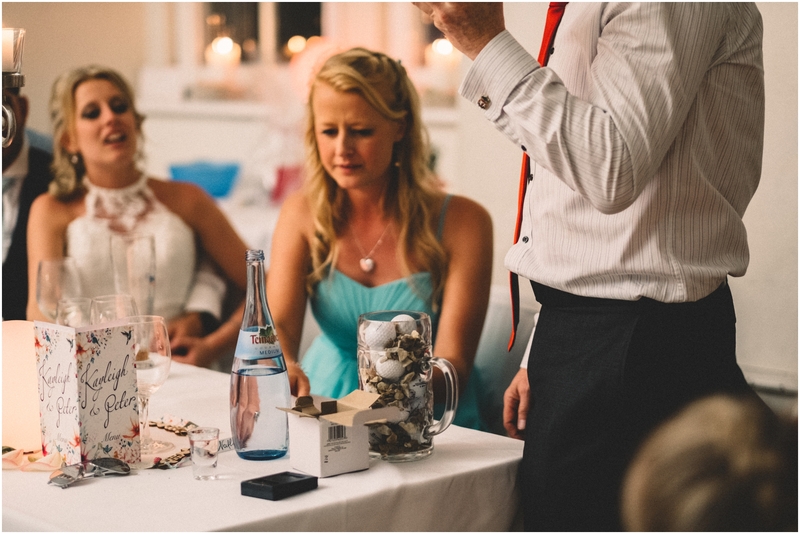 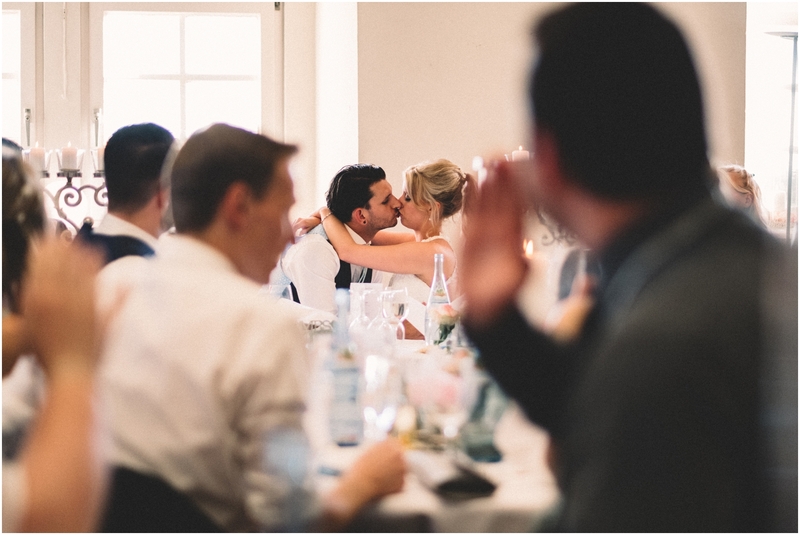 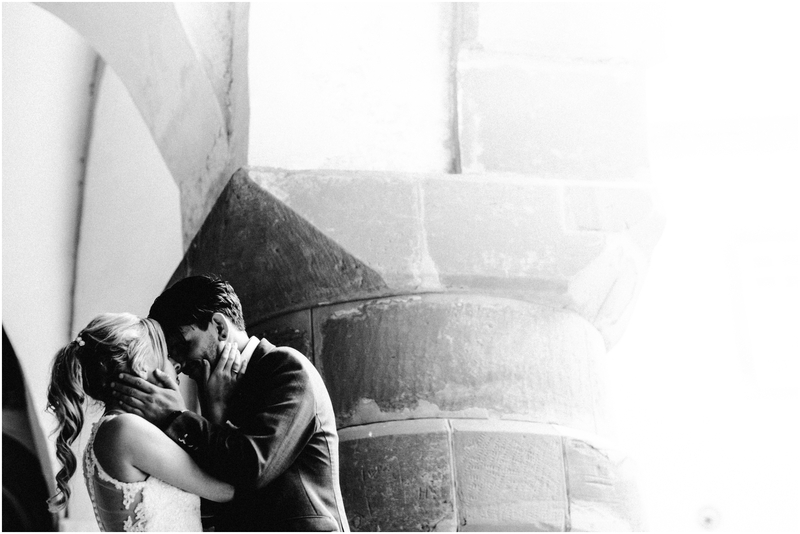 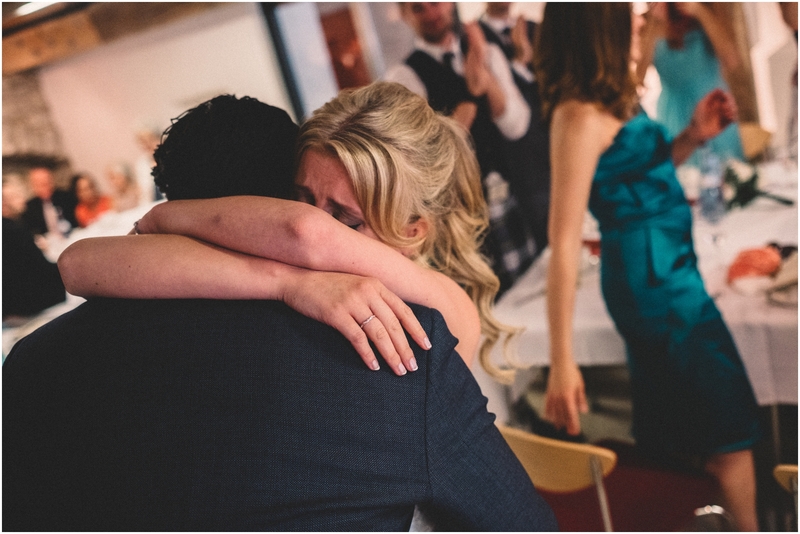 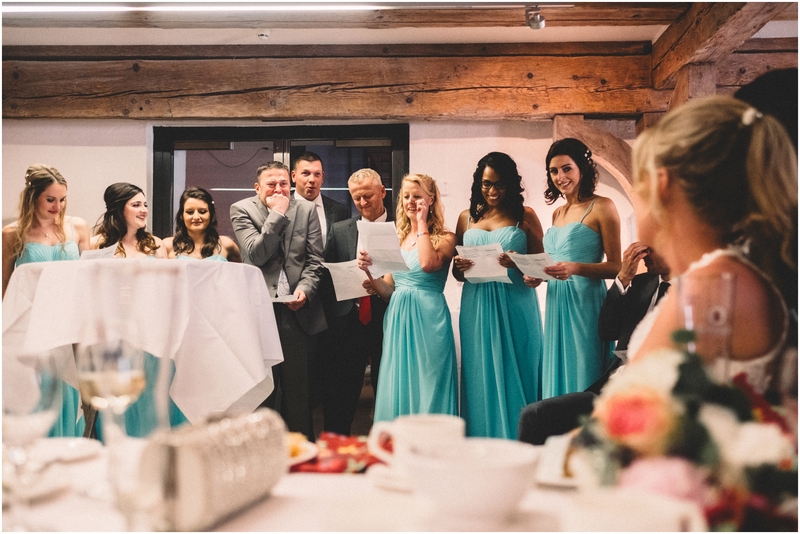 Many brides will tell you the groom’s speech is best that they have heard. 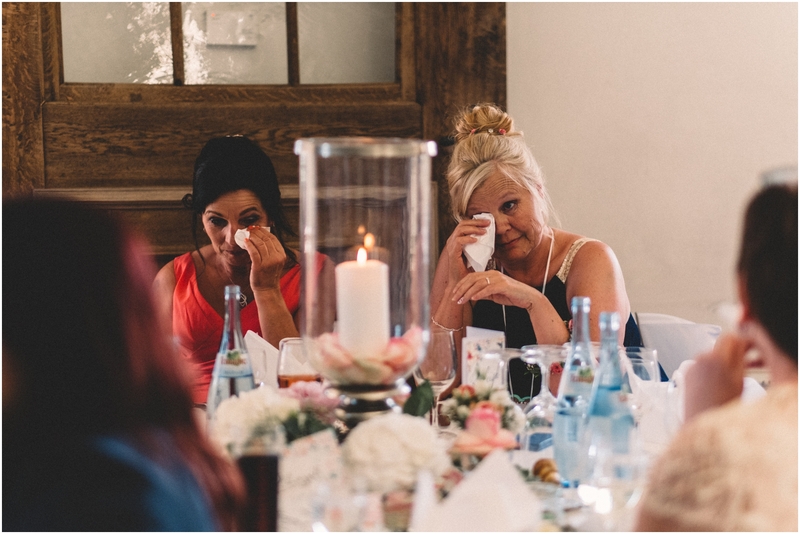 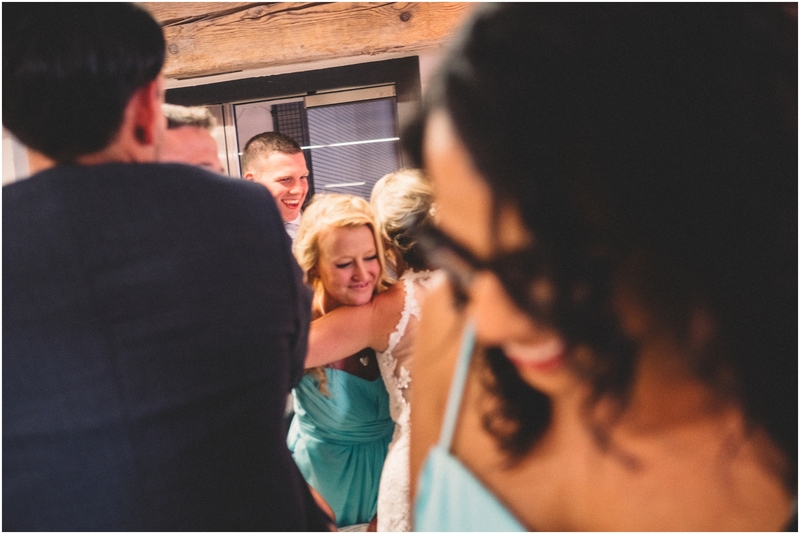 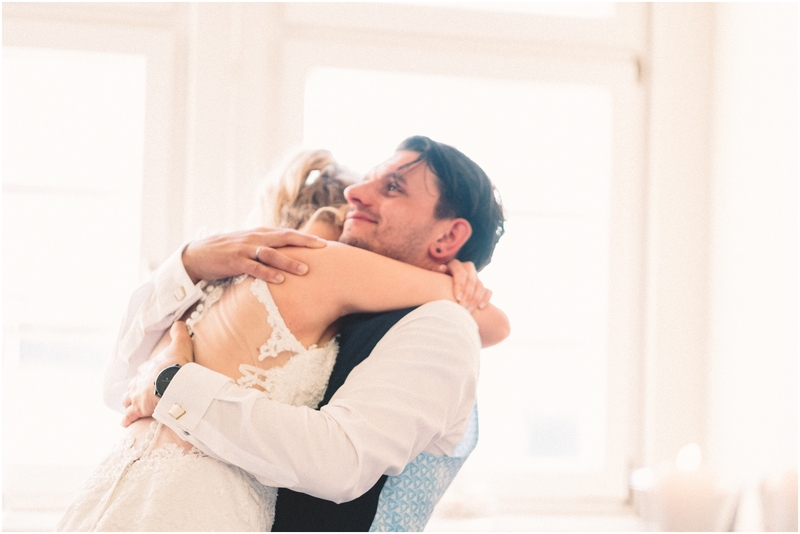 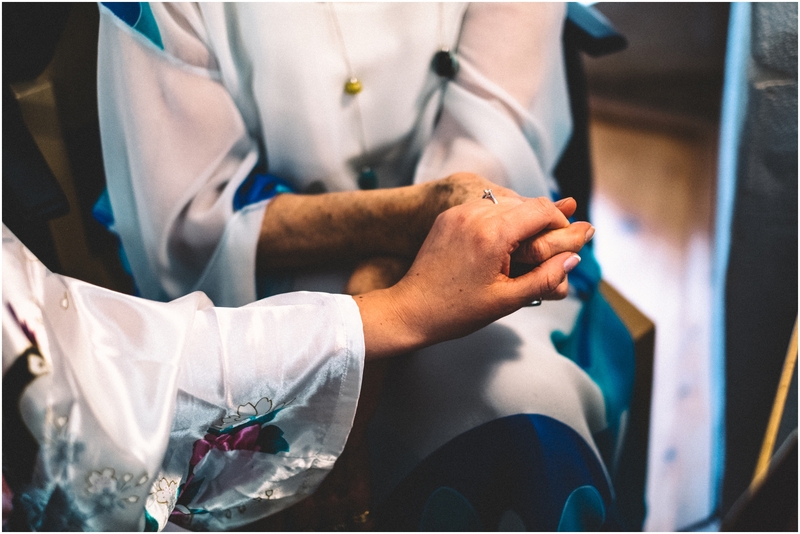 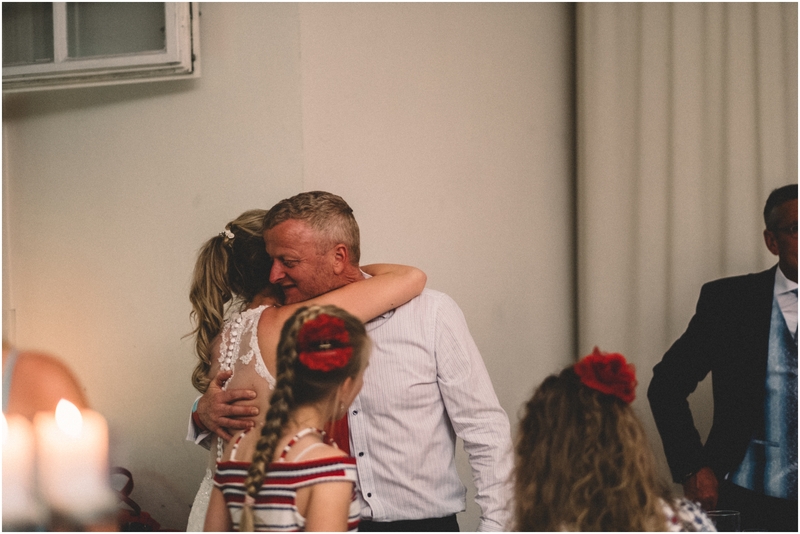 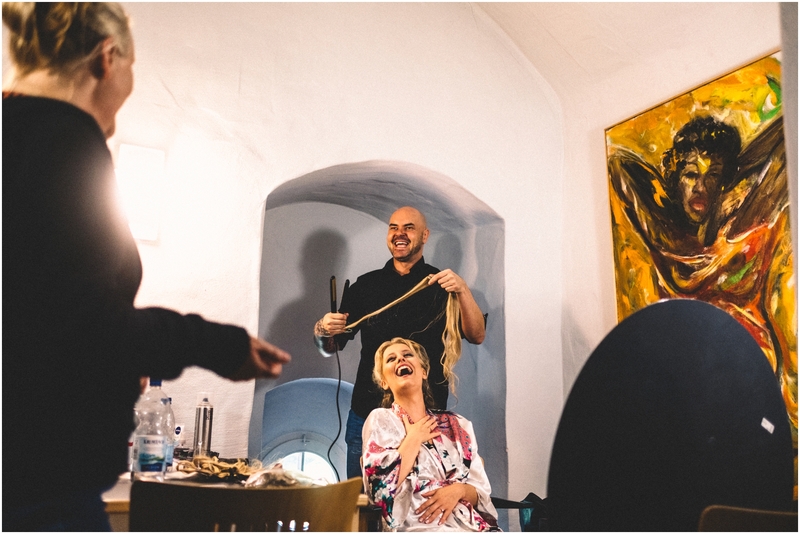 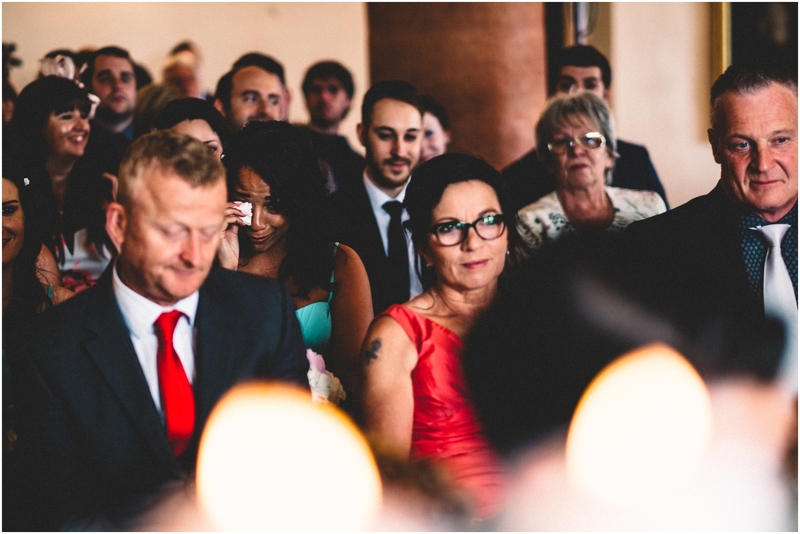 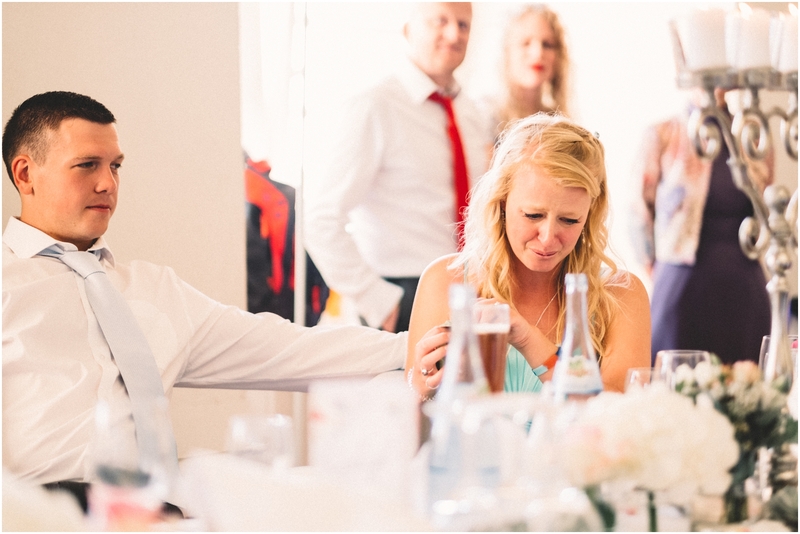 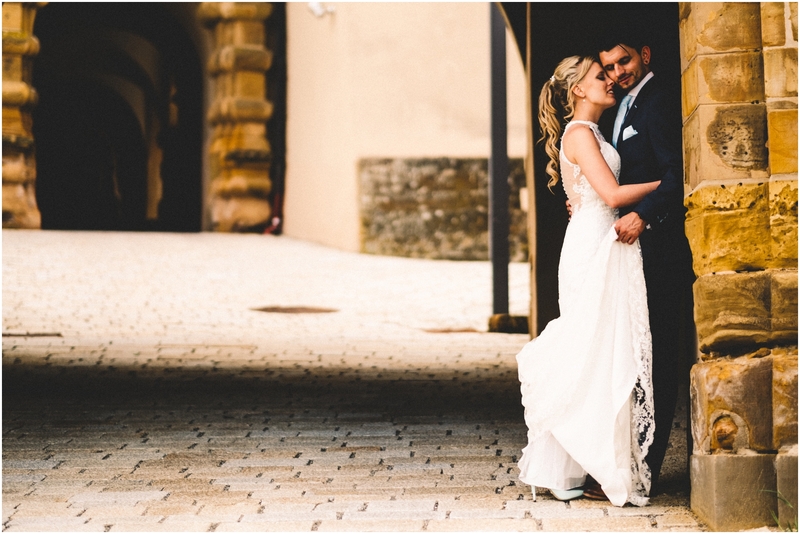 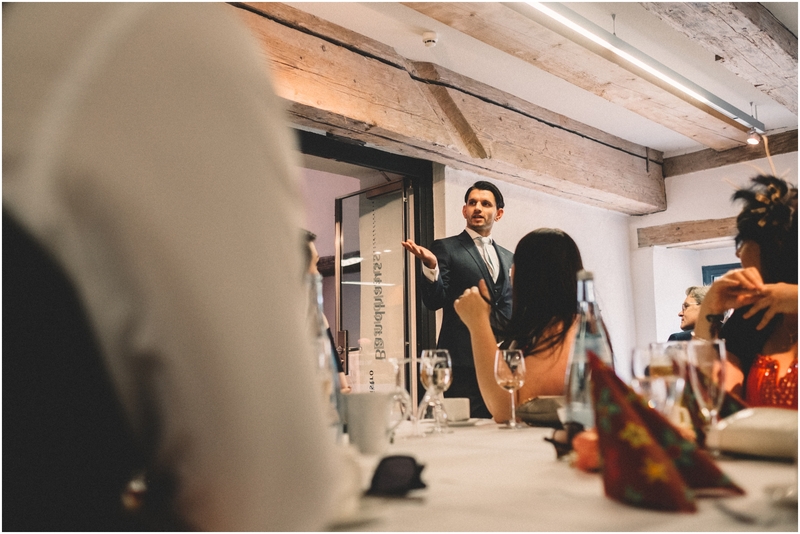 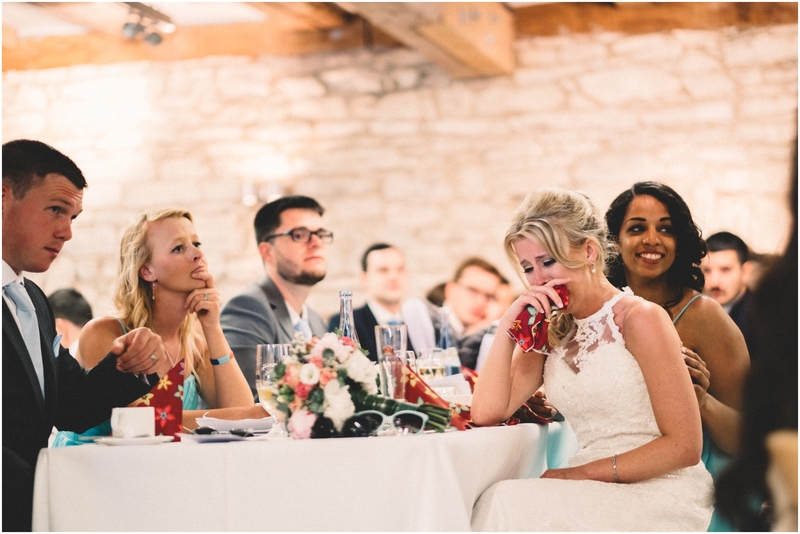 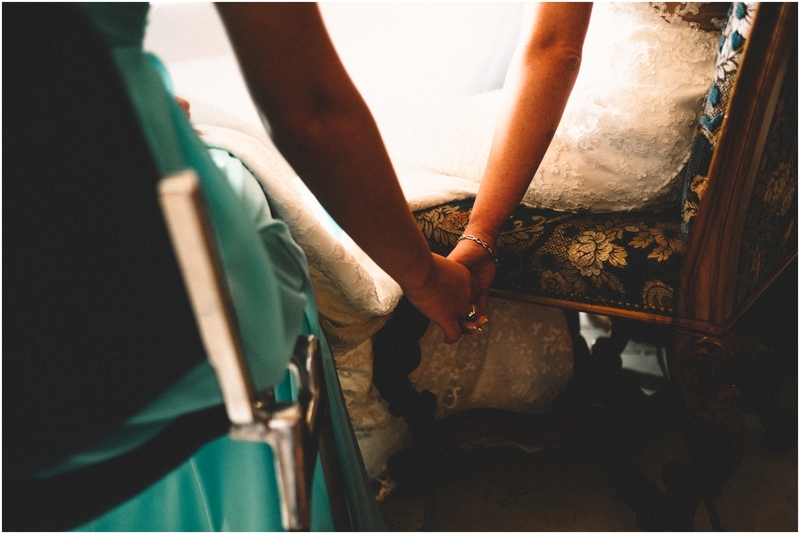 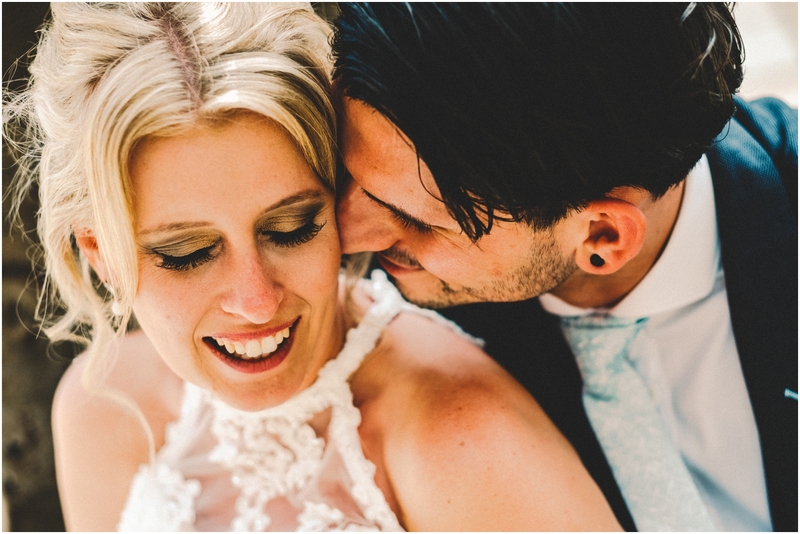 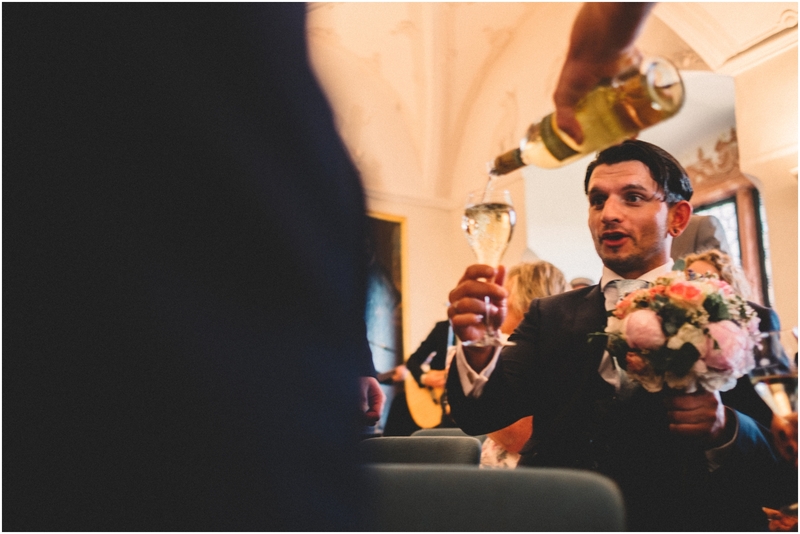 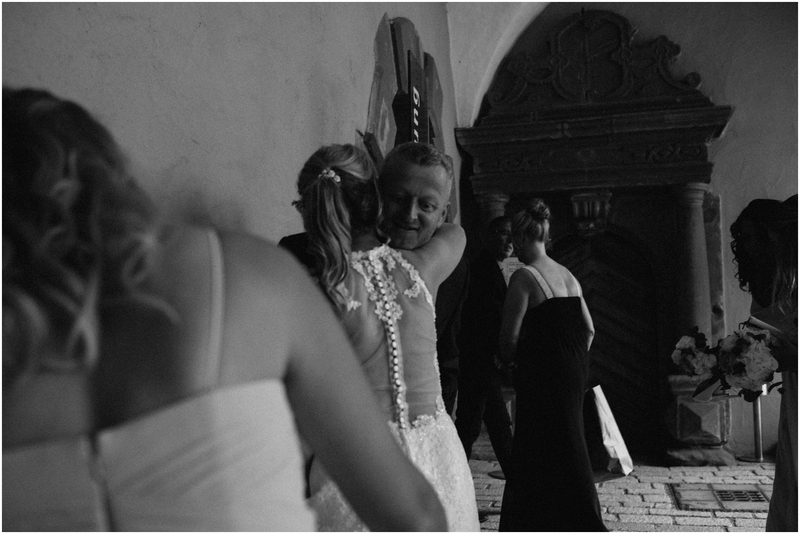 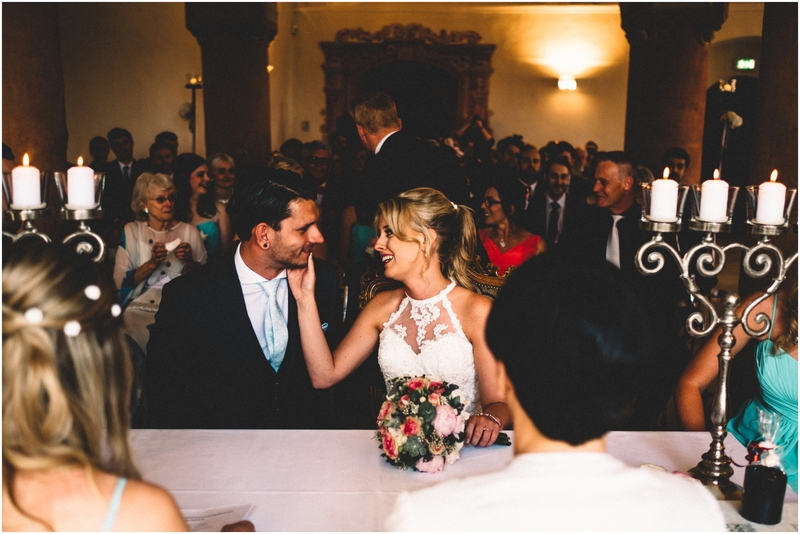 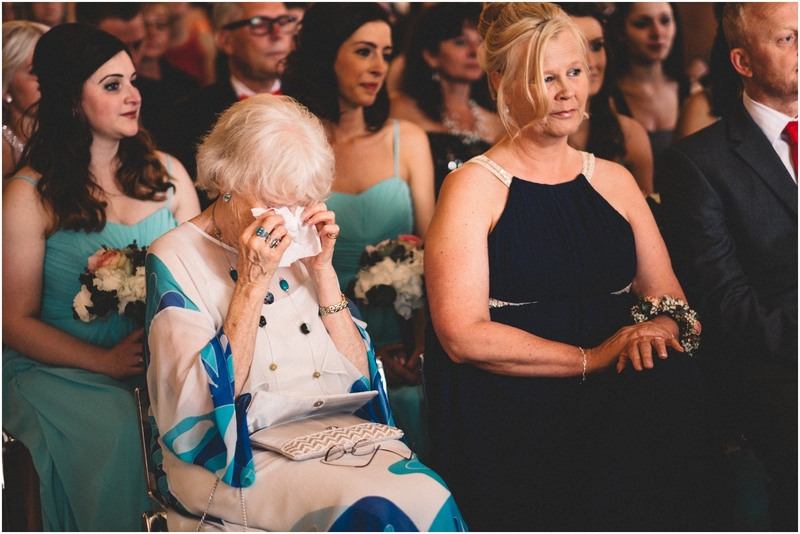 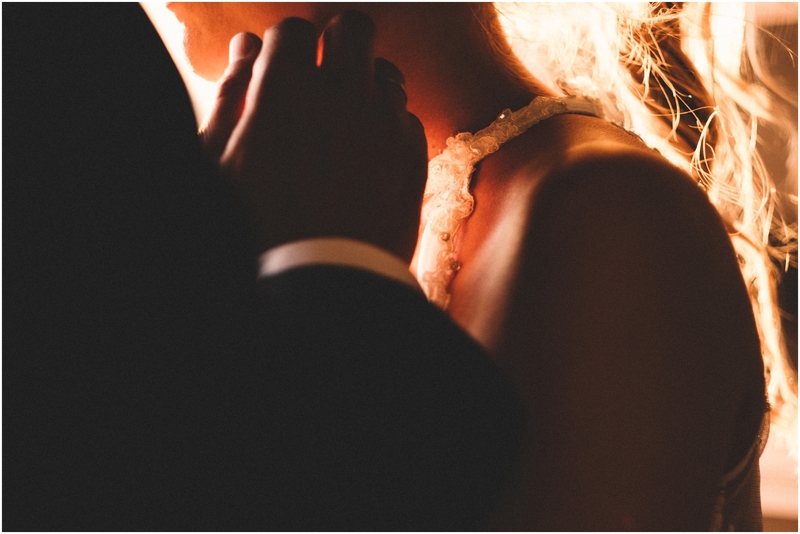 However, when you have a partner who is known for his grumpiness and lack of soppiness, to then open his heart to the entire wedding party, to be vulnerable and tell you words that you will never forget – that was very special and there was not a dry eye in the house! 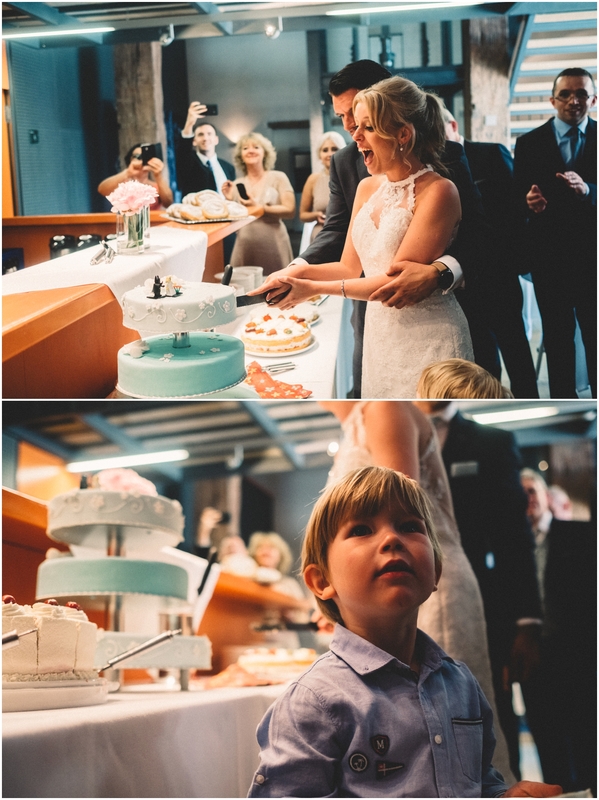 When cutting the cake It was a great moment when little Lorenz really wanted the first piece, so instead of putting in Peter’s face, we got to give it to him together. 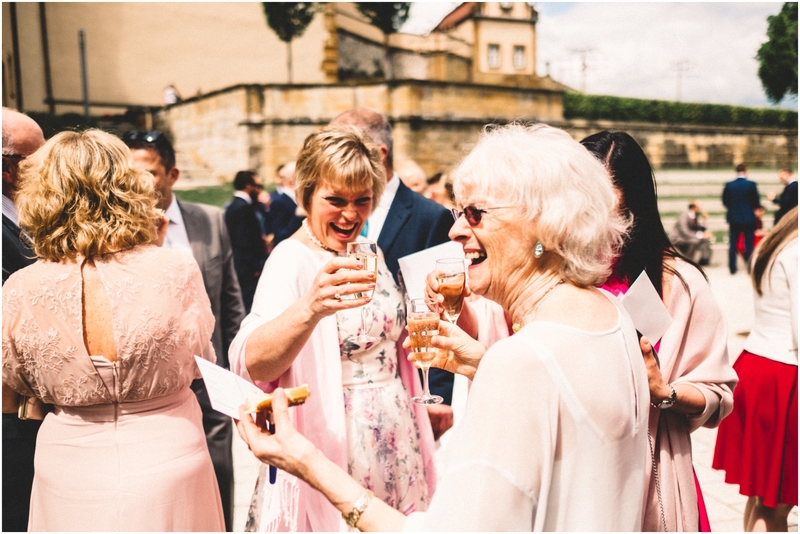 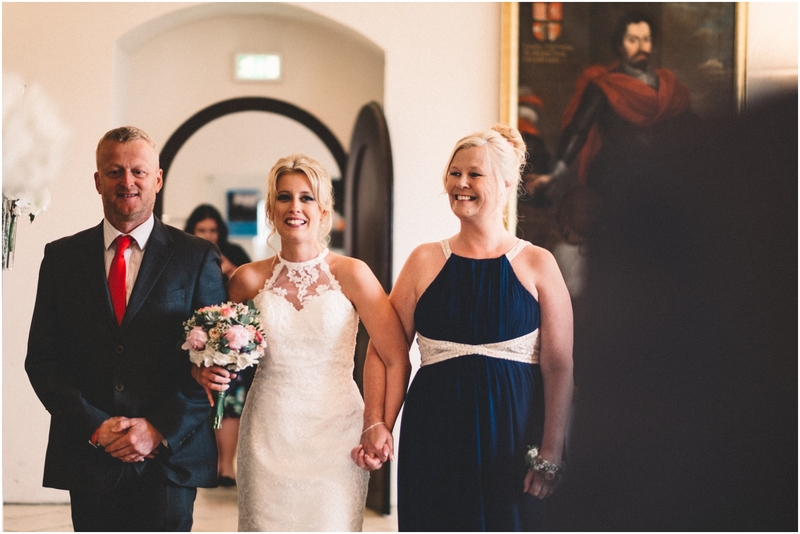 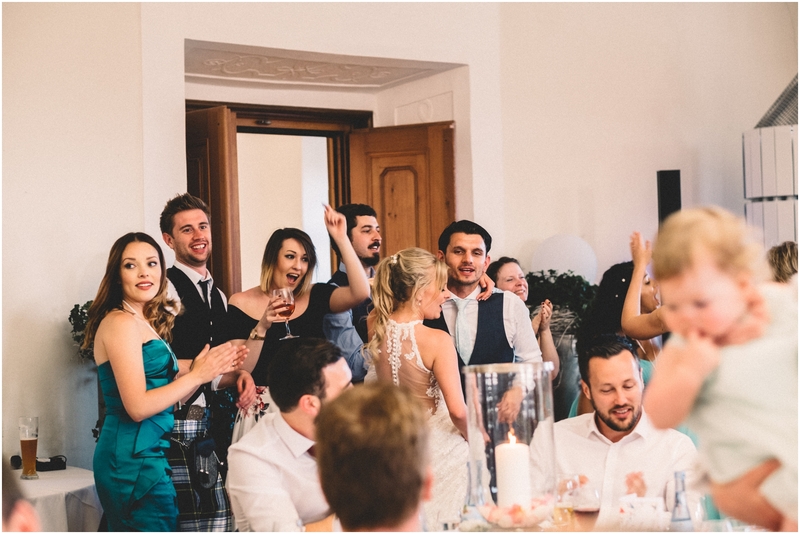 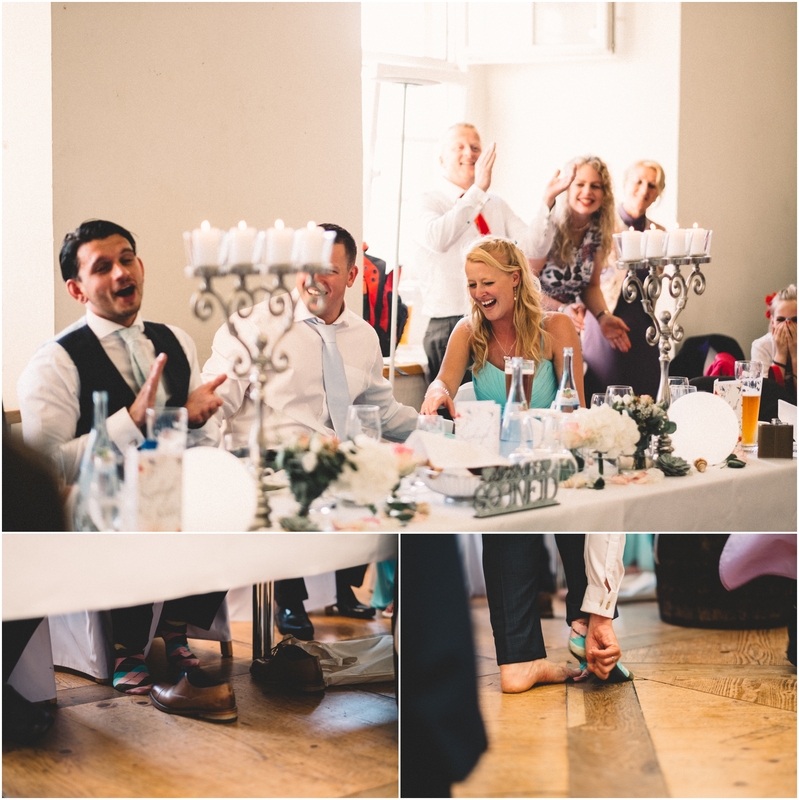 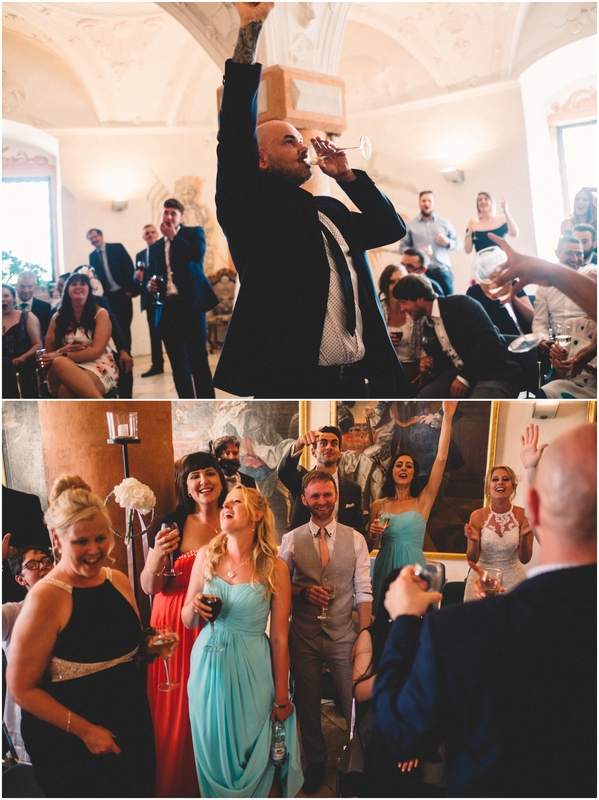 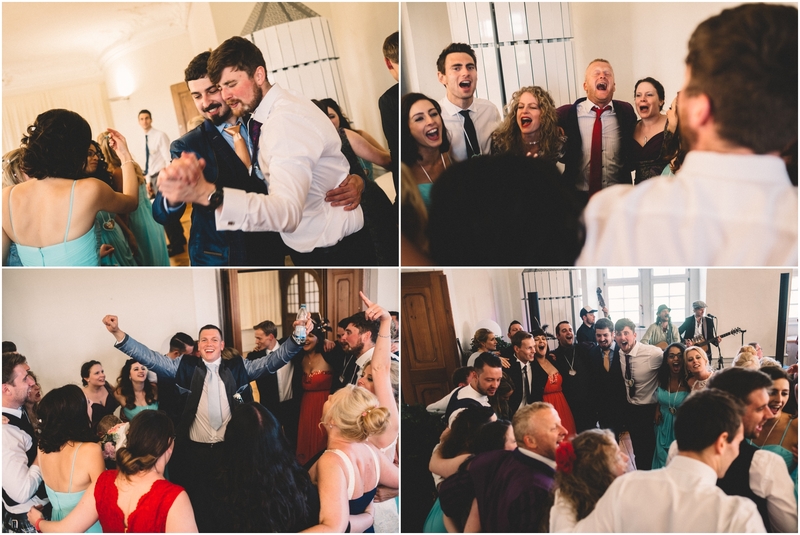 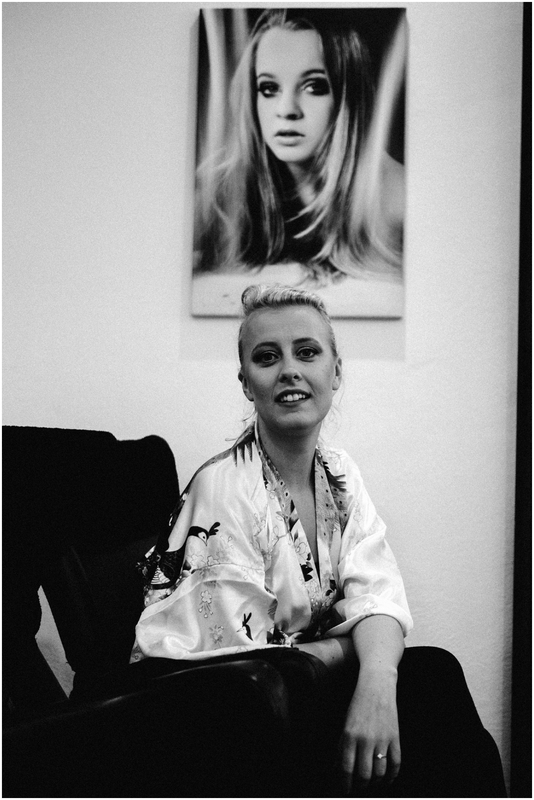 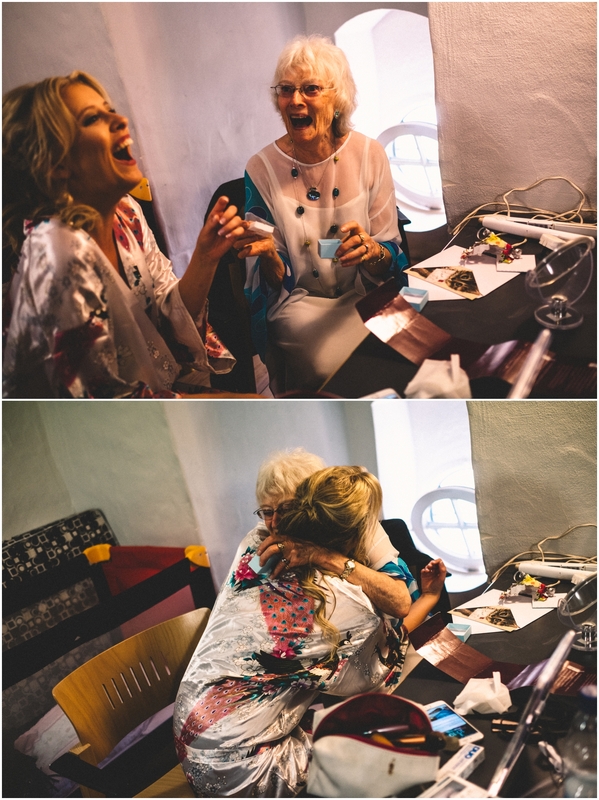 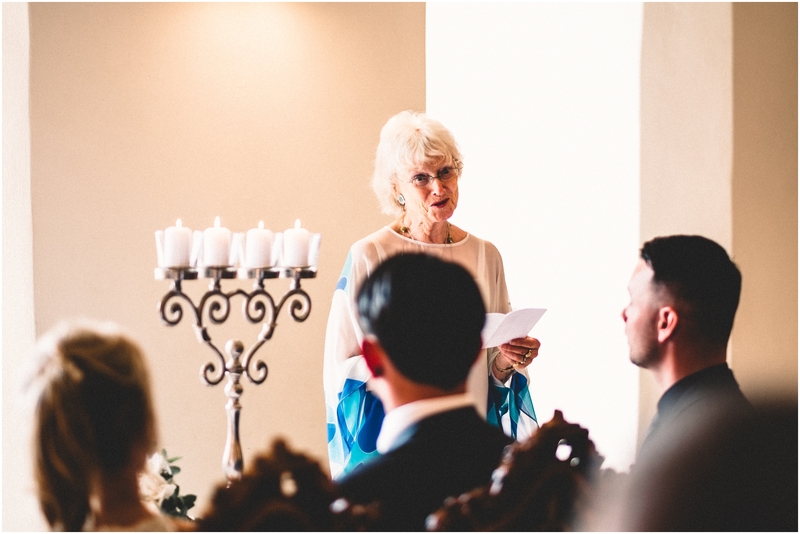 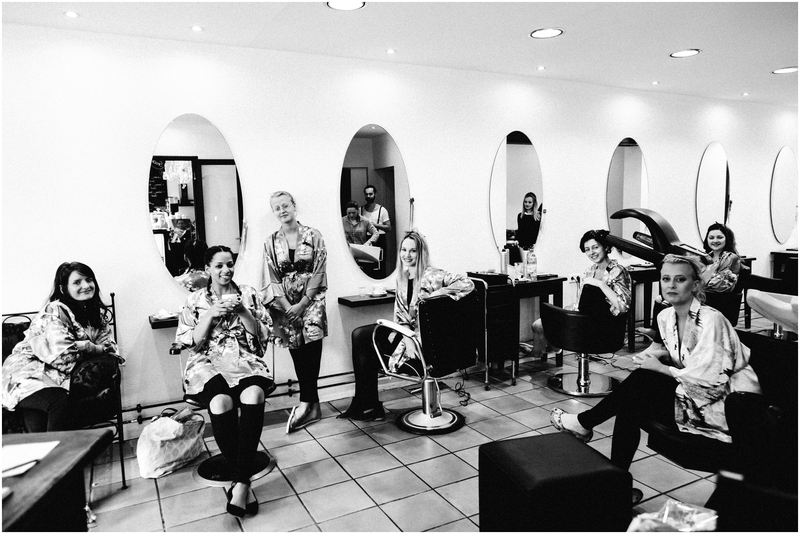 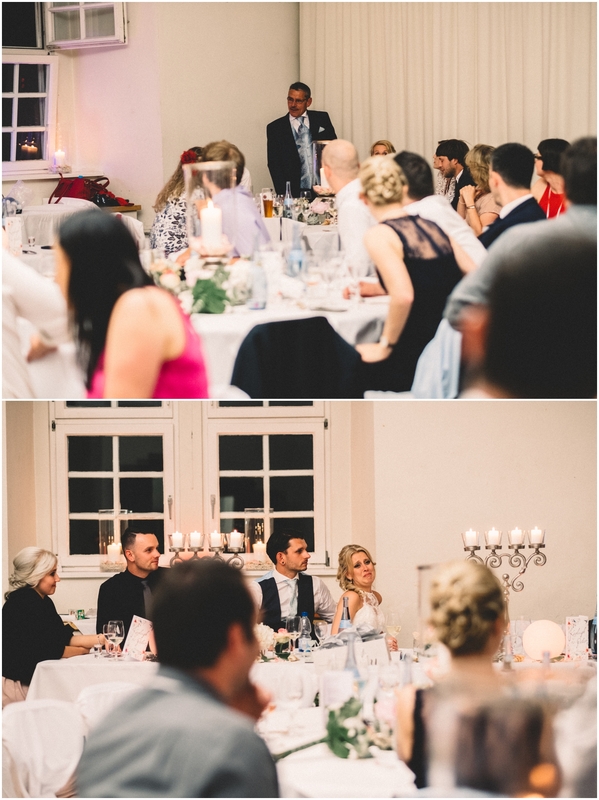 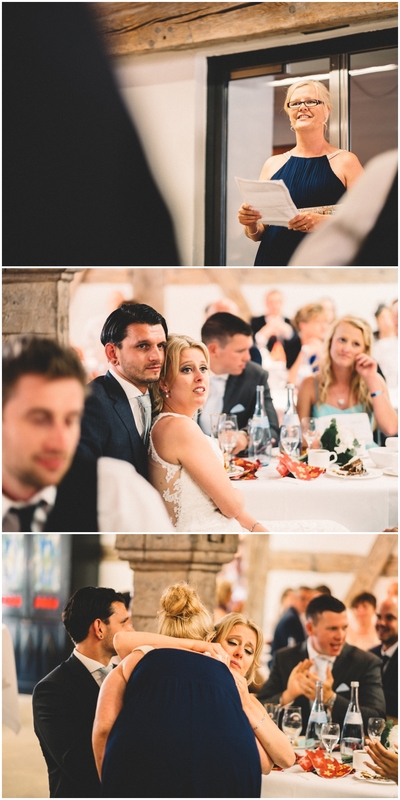 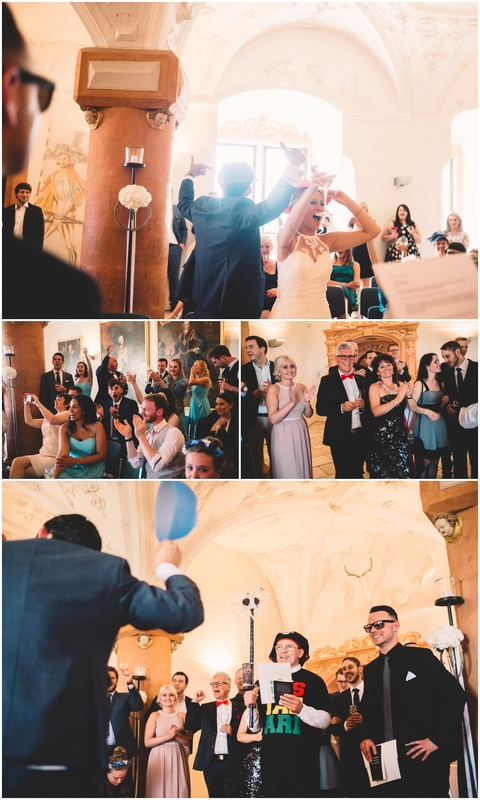 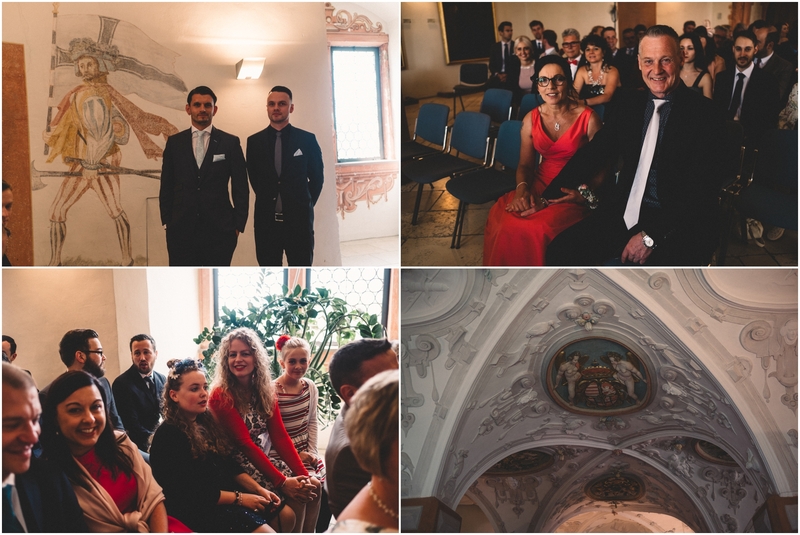 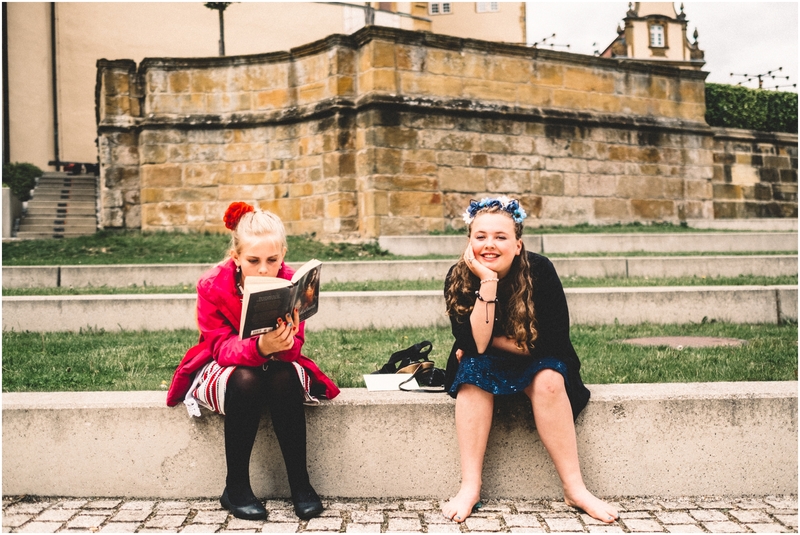 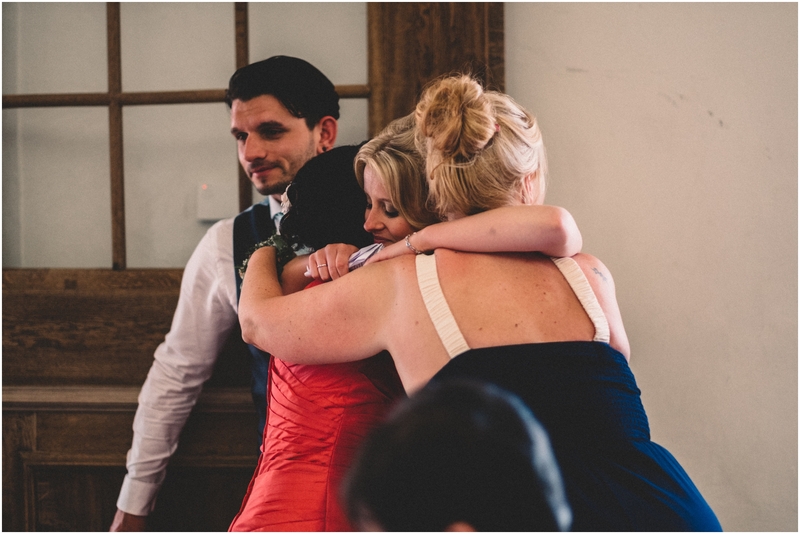 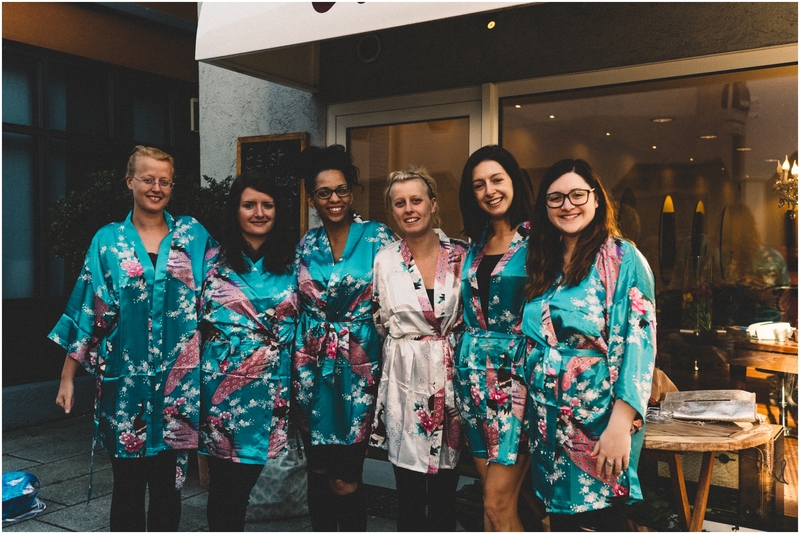 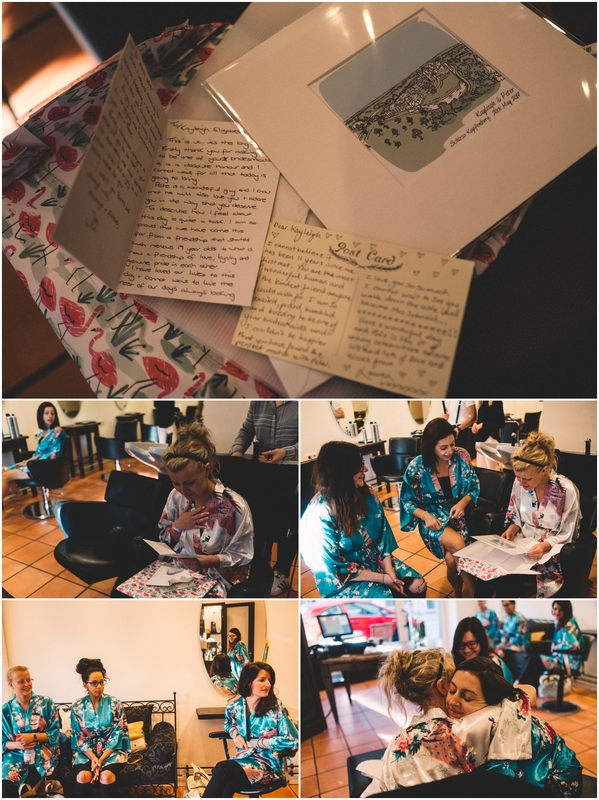 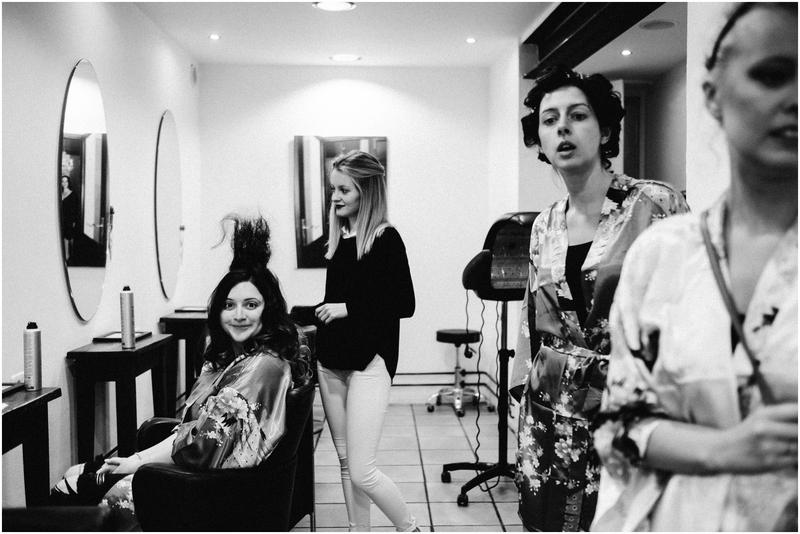 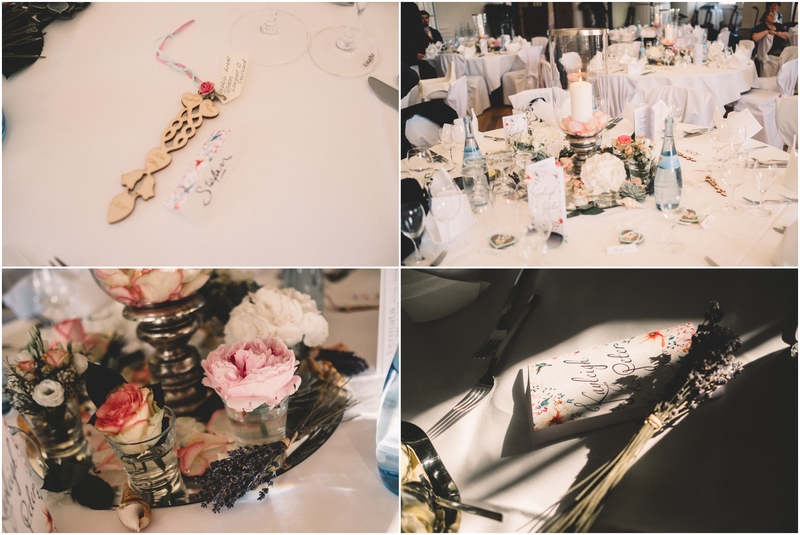 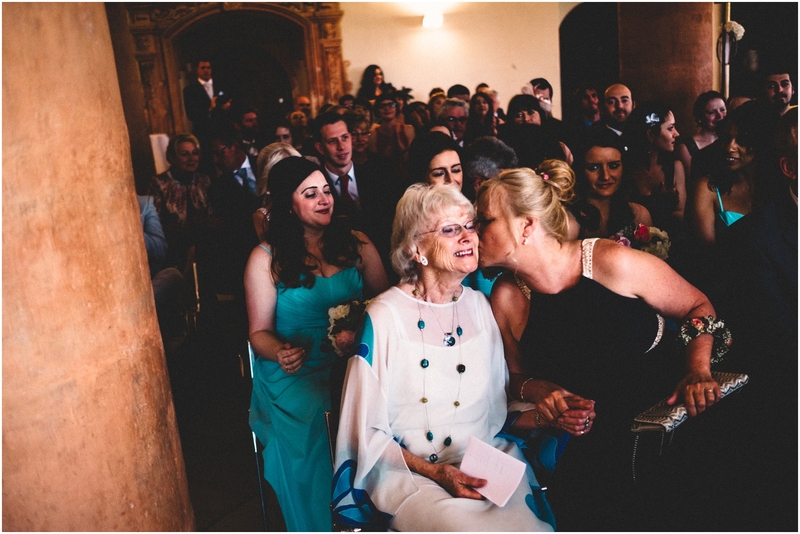 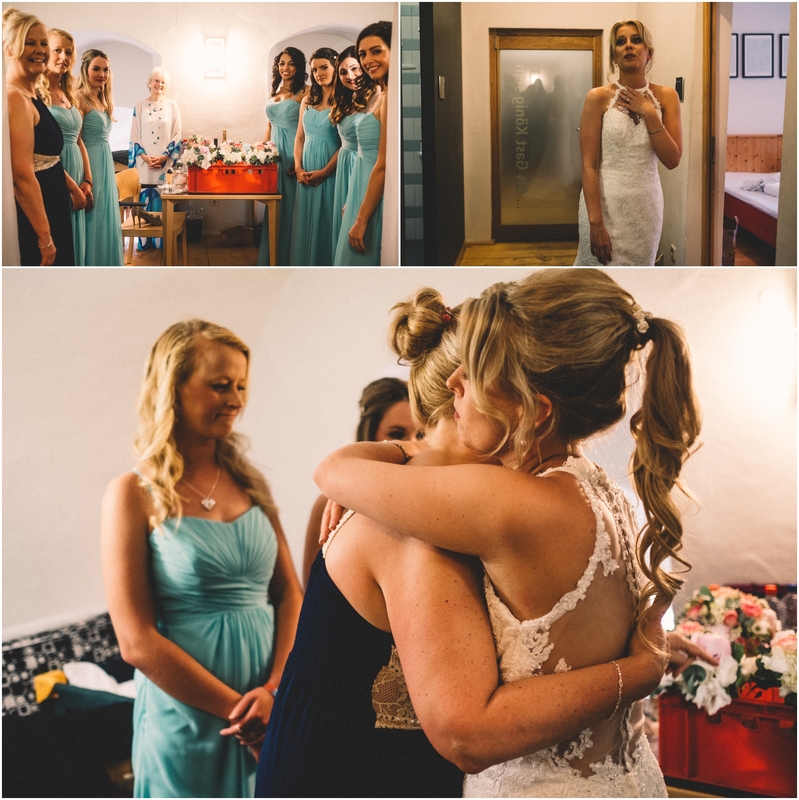 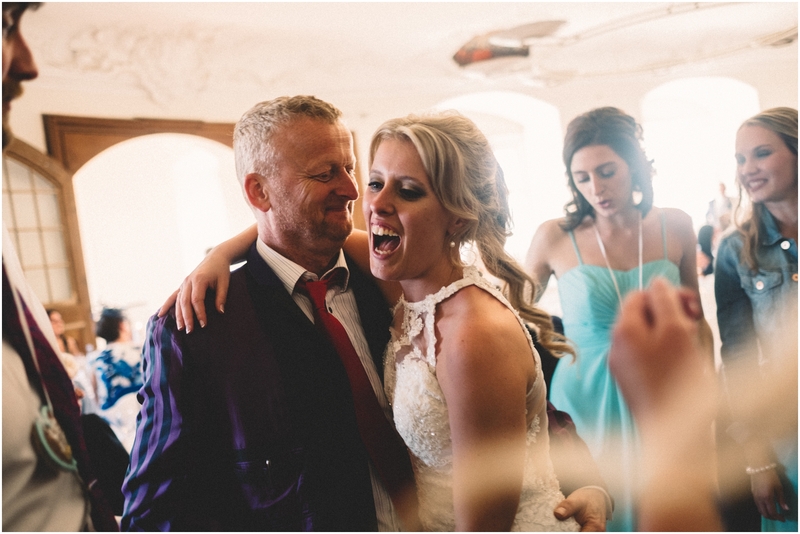 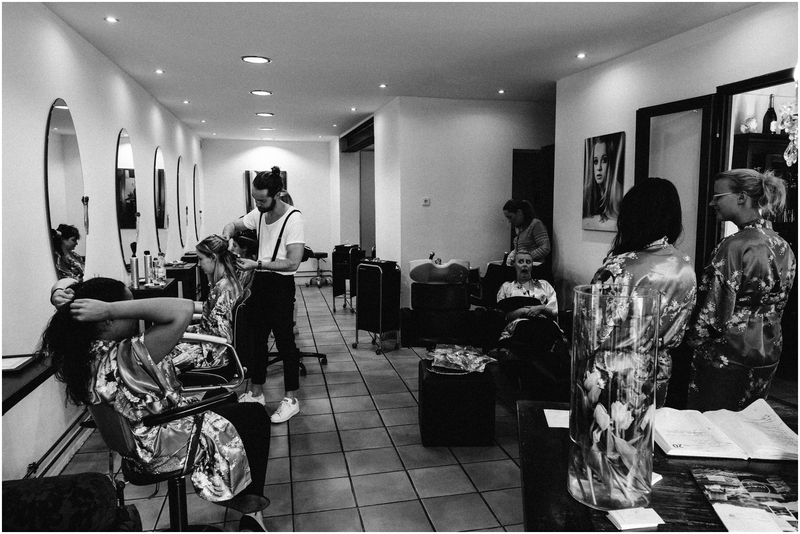 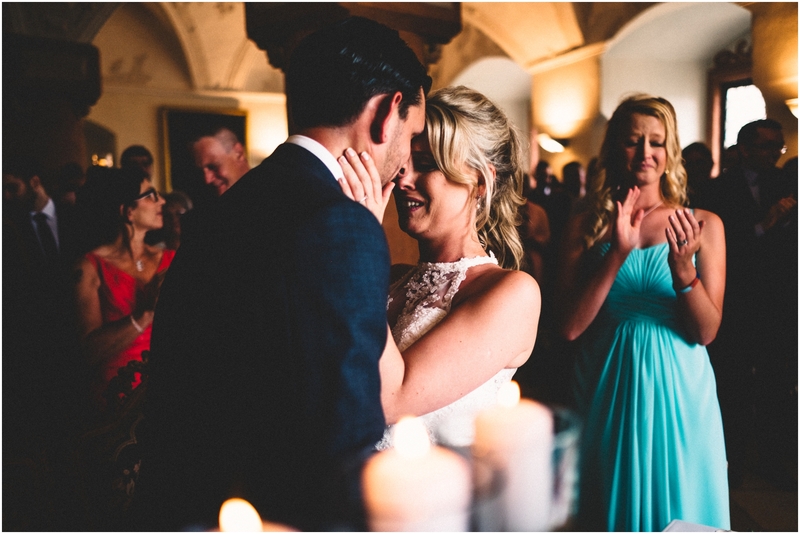 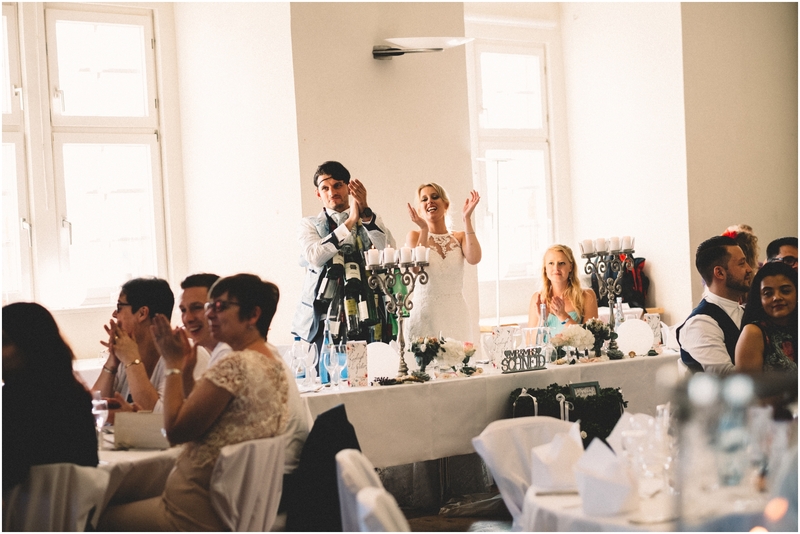 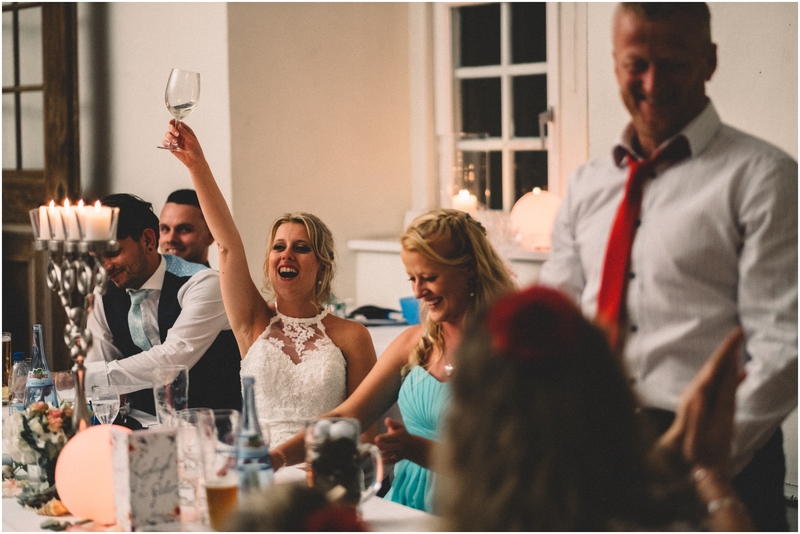 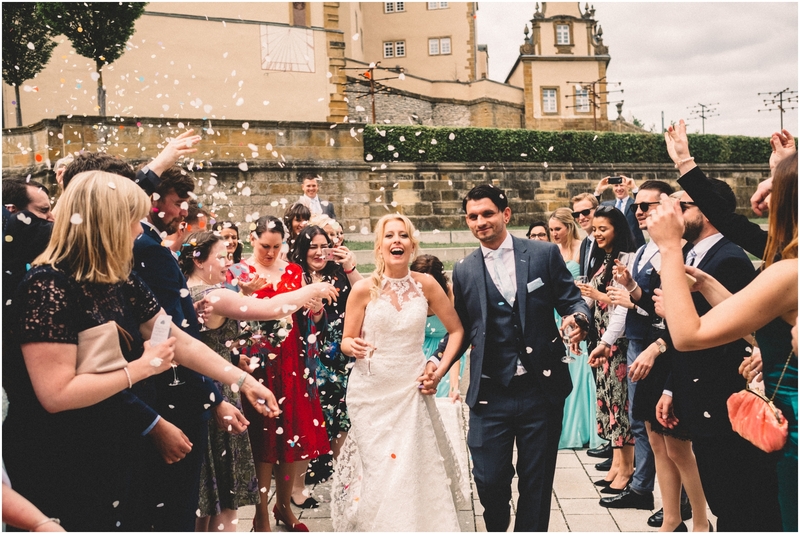 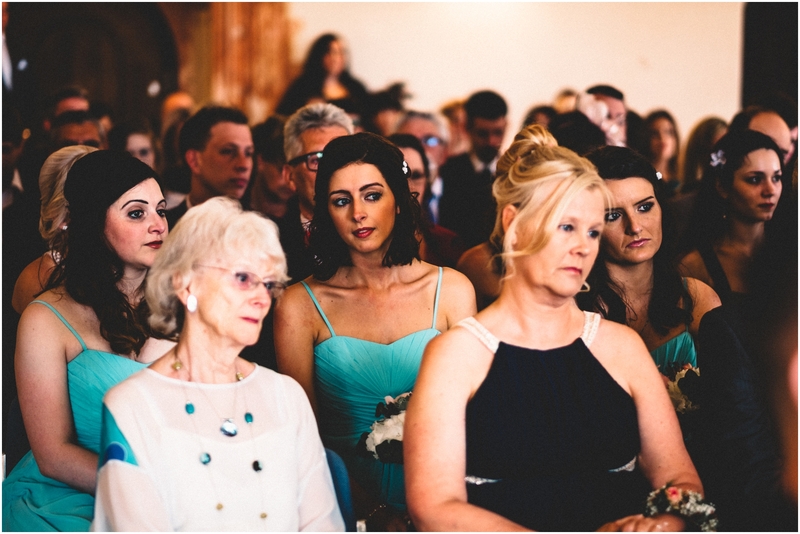 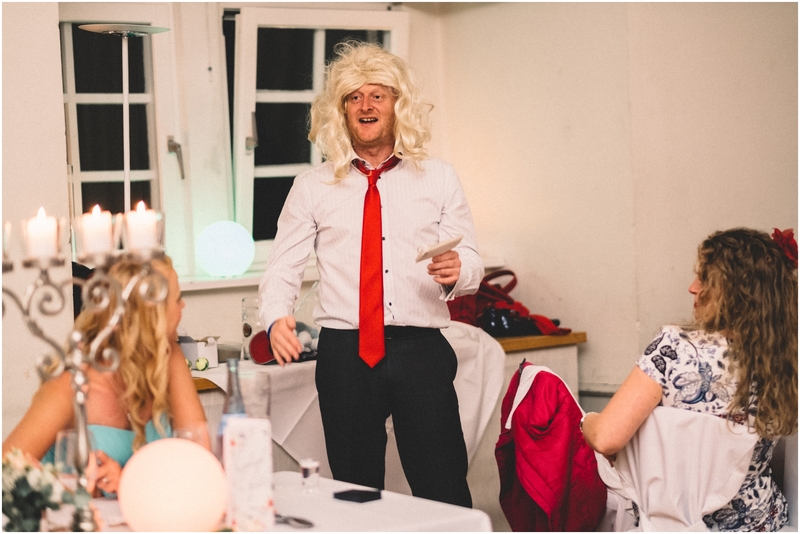 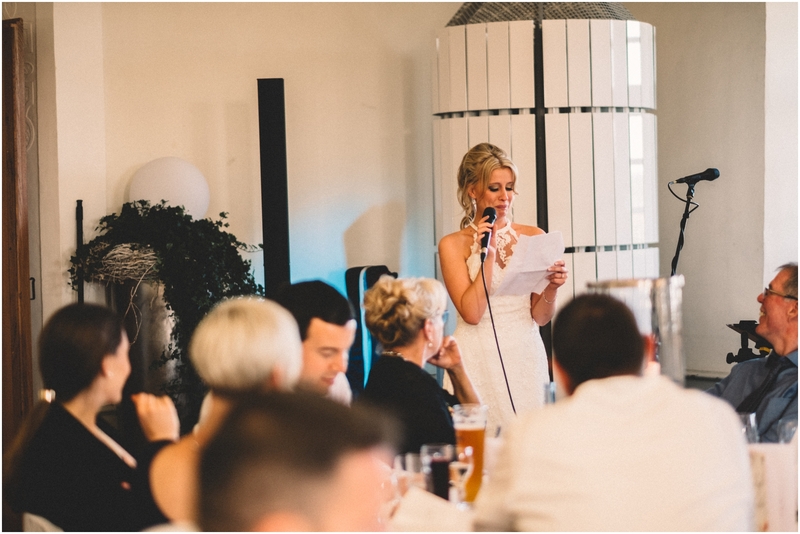 The following speeches were incredible, Anita, Anne and Rhi were all so nervous but the stories they told, the delivery and the thought that went into them were insane – especially as they all got into a chorus of the piano man! 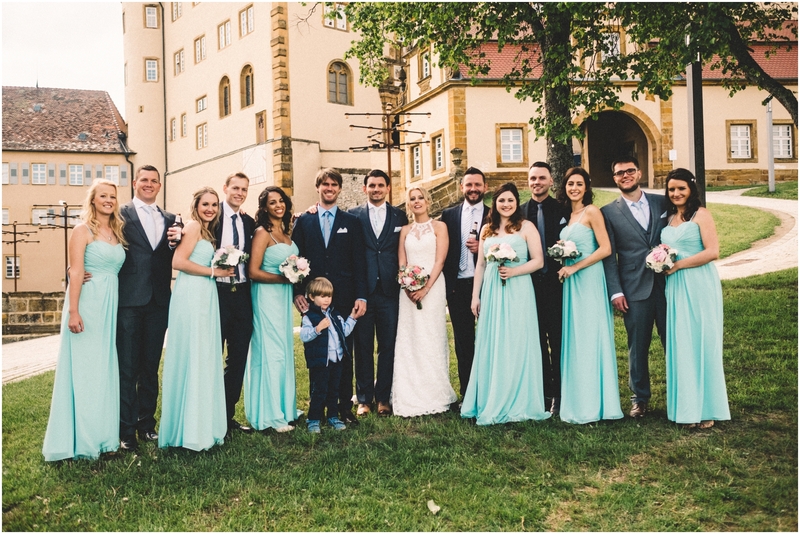 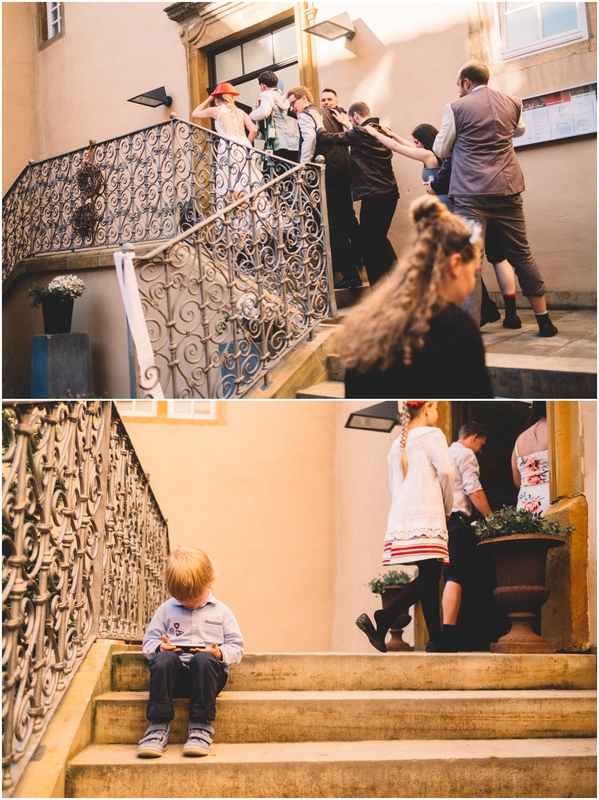 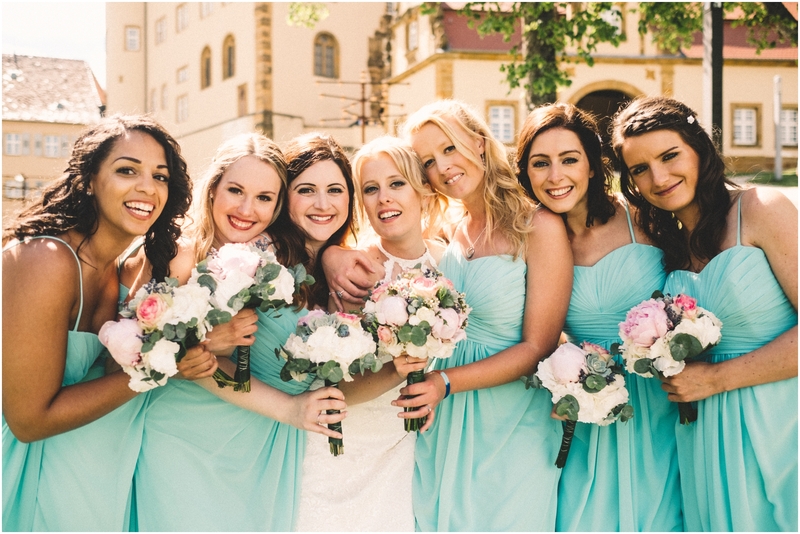 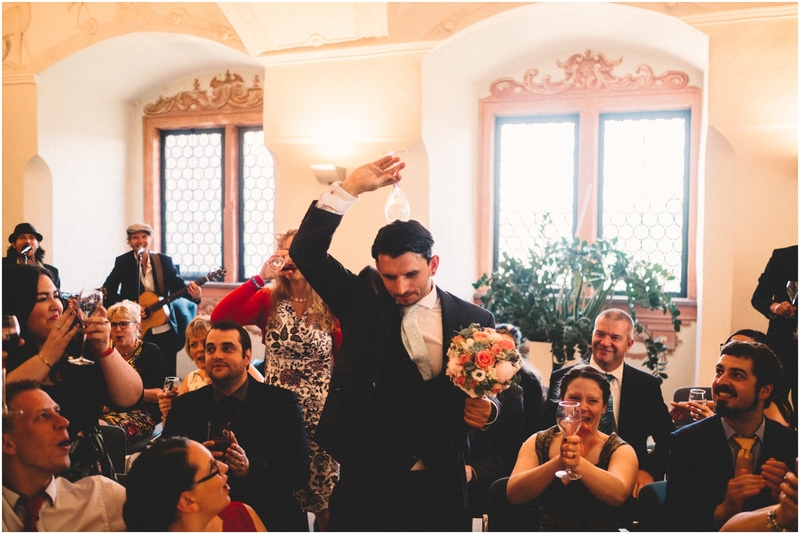 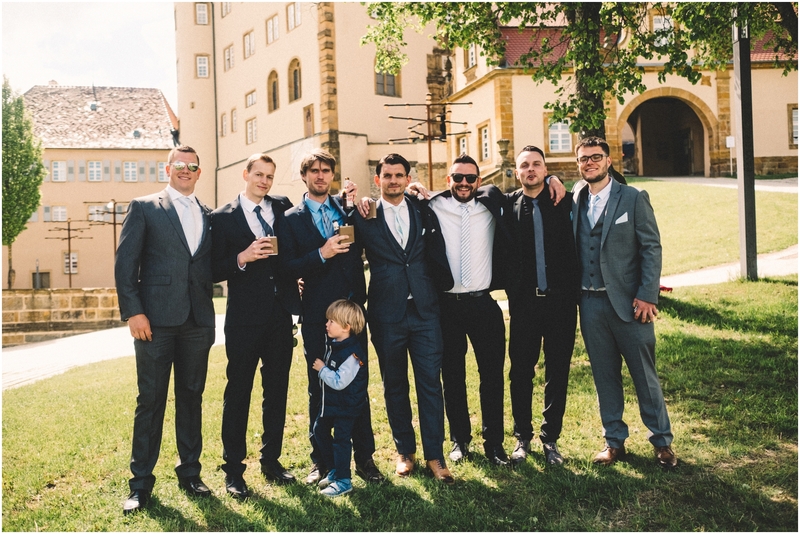 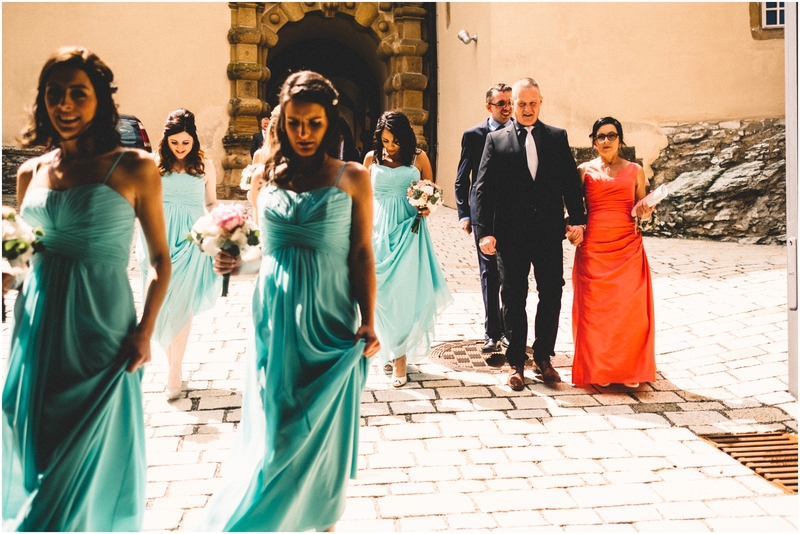 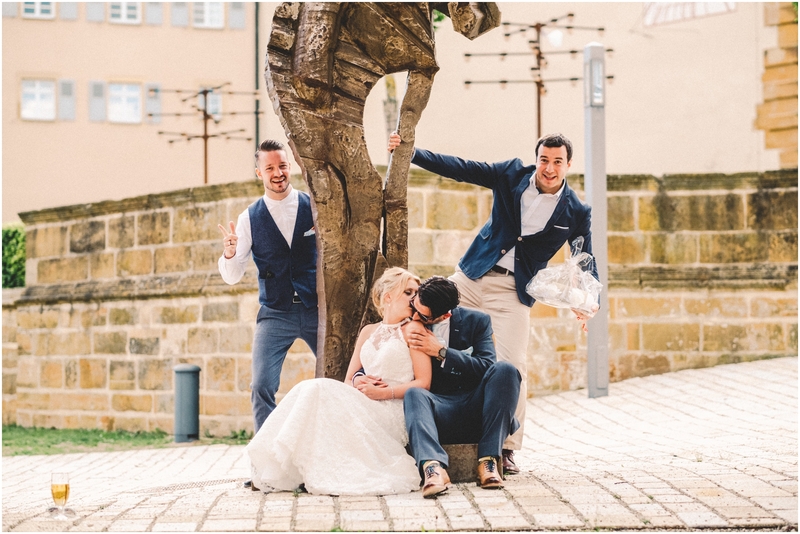 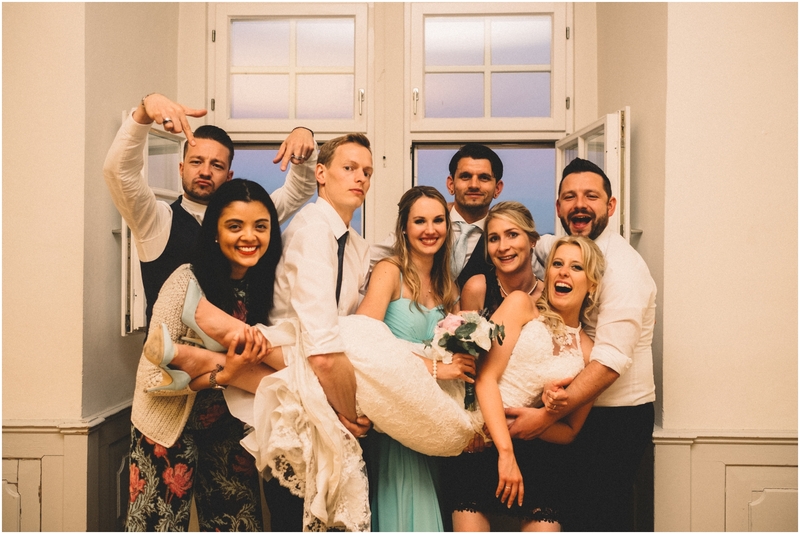 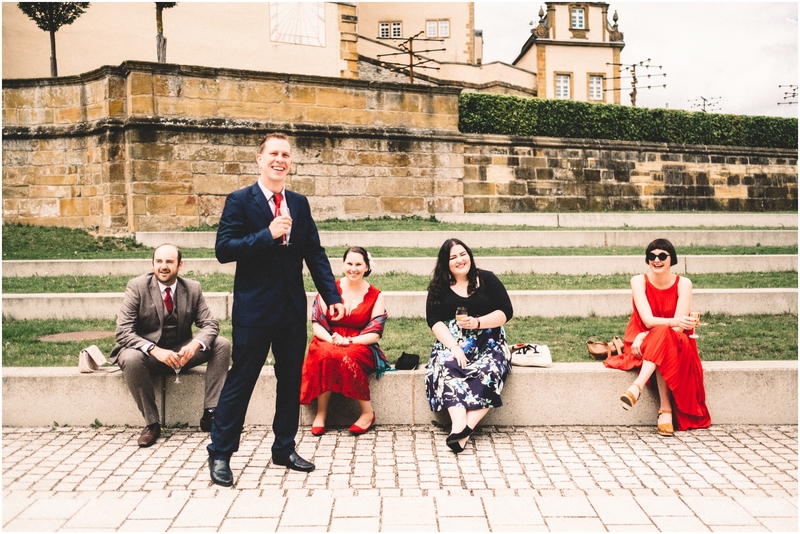 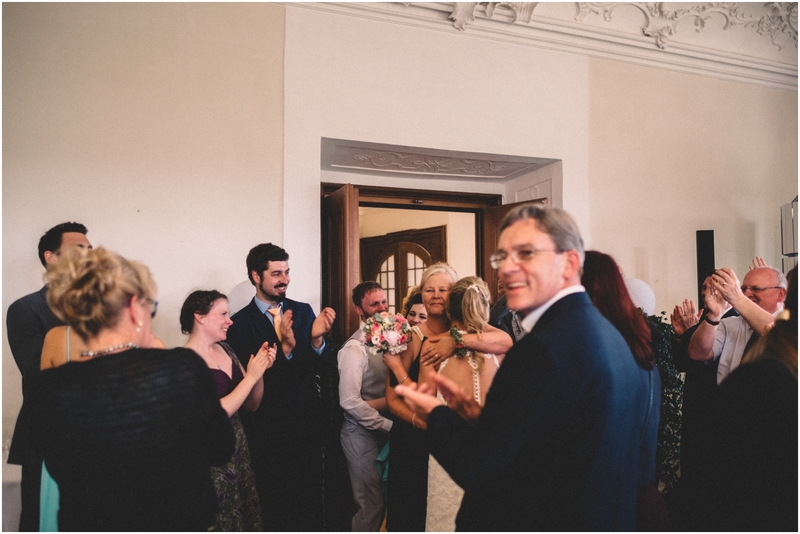 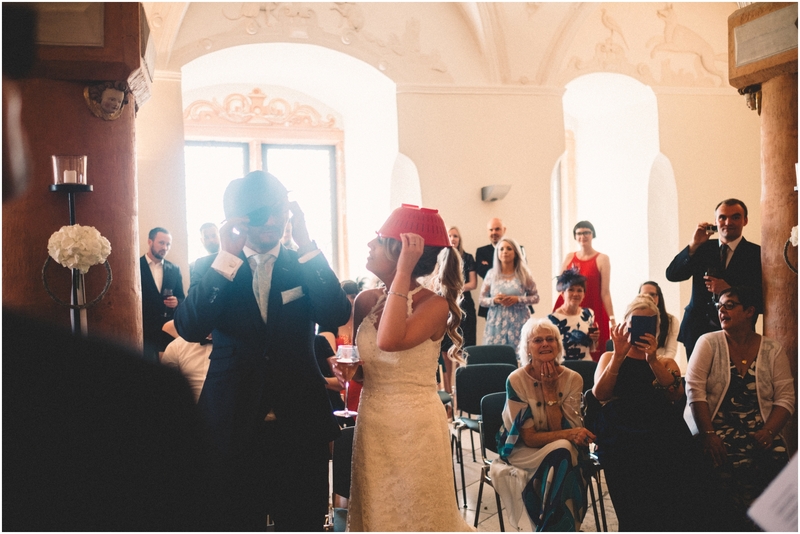 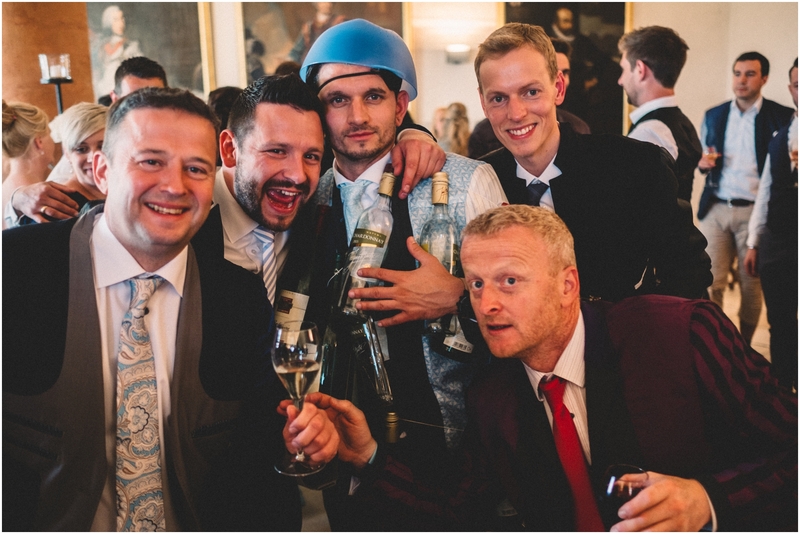 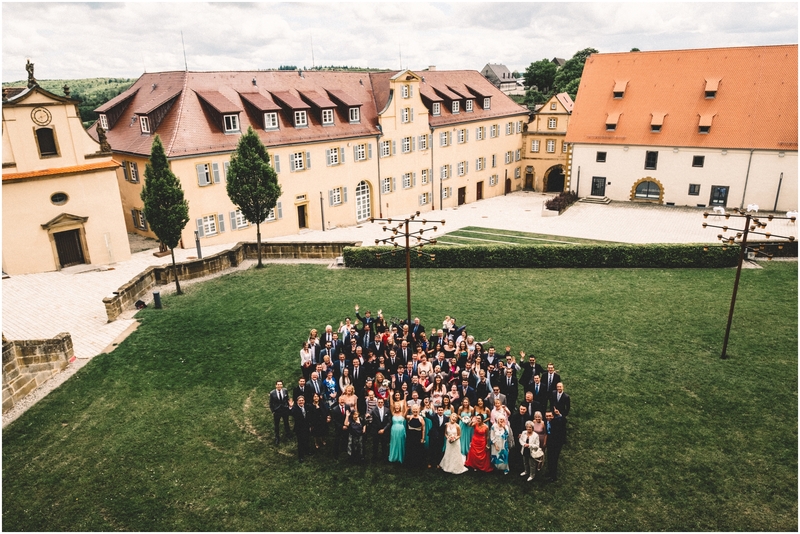 “Kidnapping of the bride” (Brautentführung) was hilarious – it was up to the groom to do tasks, organised by the groomsman to win the bride back! 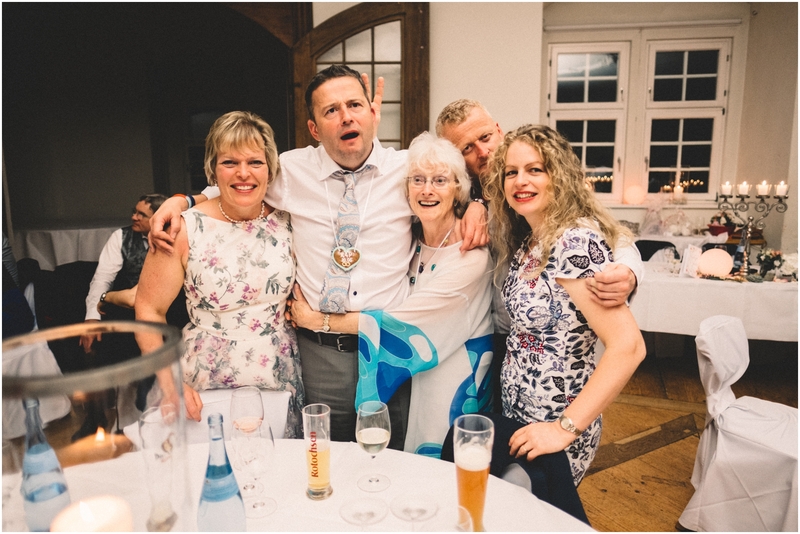 We all had to drink as much as we could so we could tie the bottles around Peter (A southern German tradition) – Drinking games were had (the birthday song where you have to down your drink when it’s your month of birth) silly games and of course the “Pastafari” ceremony. 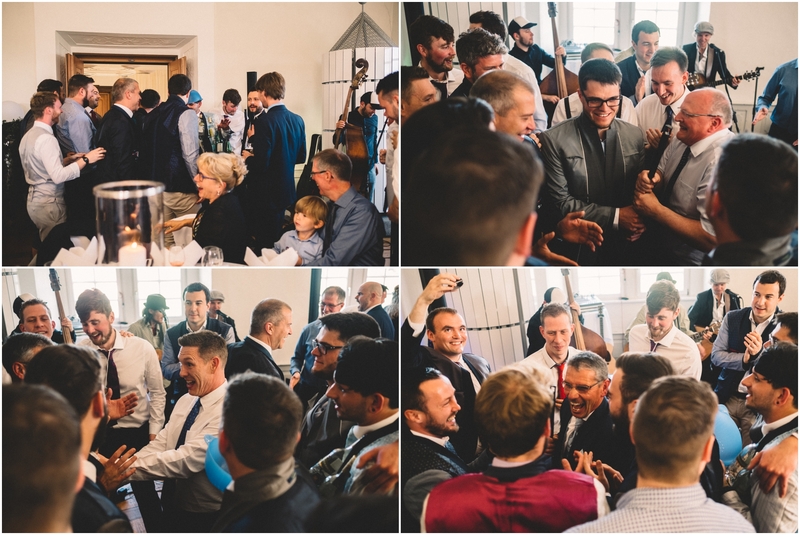 As Peter and the men, turned their jackets inside out, hitched one trouser leg up and walked back into the reception room to the broom dance! 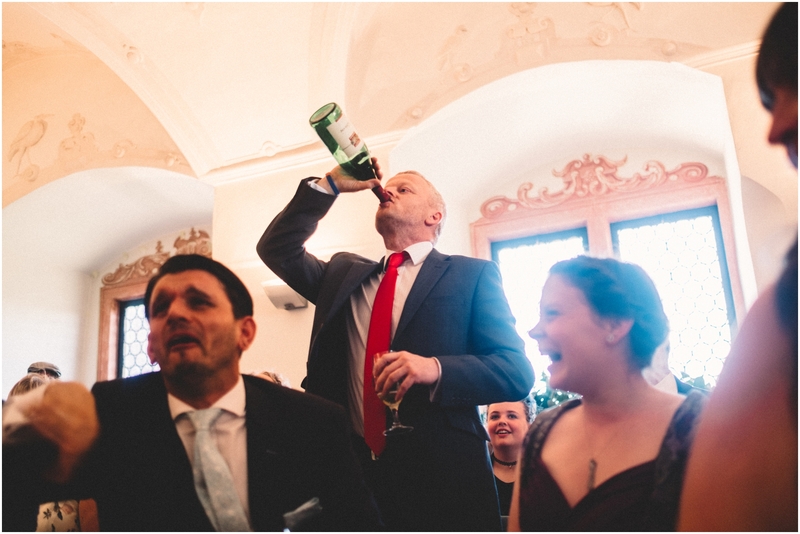 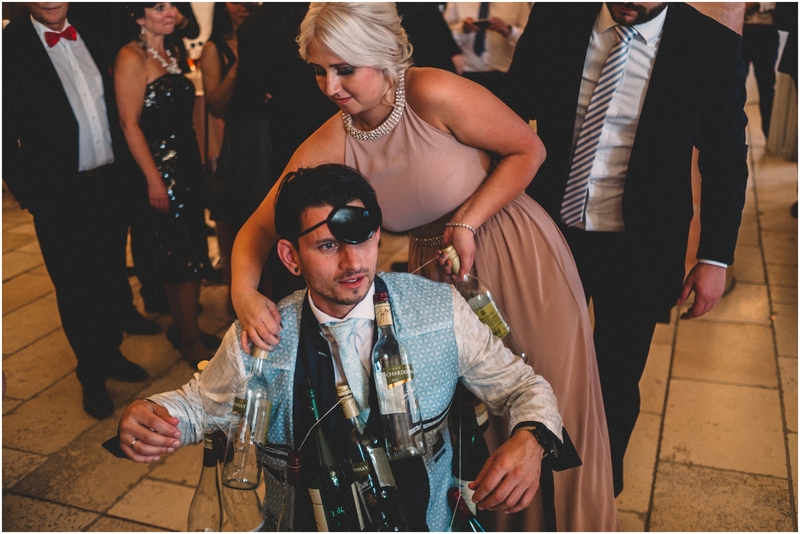 Peter had to walk all the way with all the bottles the guests had consumed tied around him – he could not walk properly! 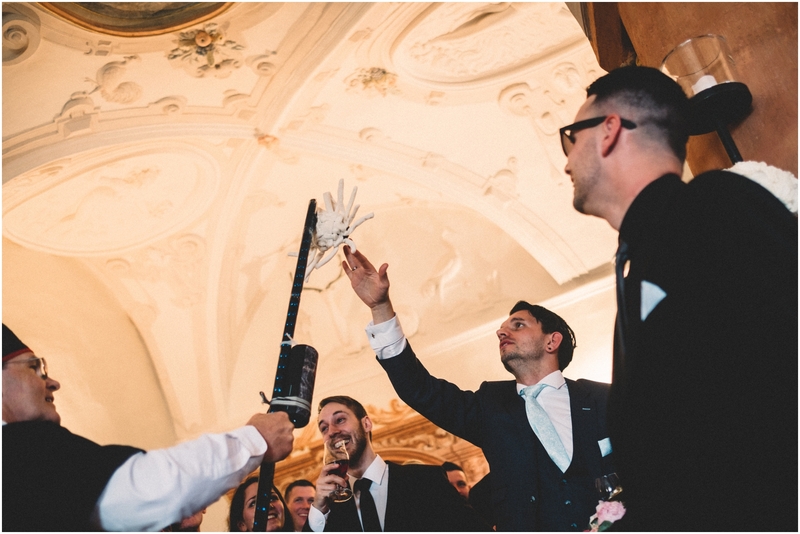 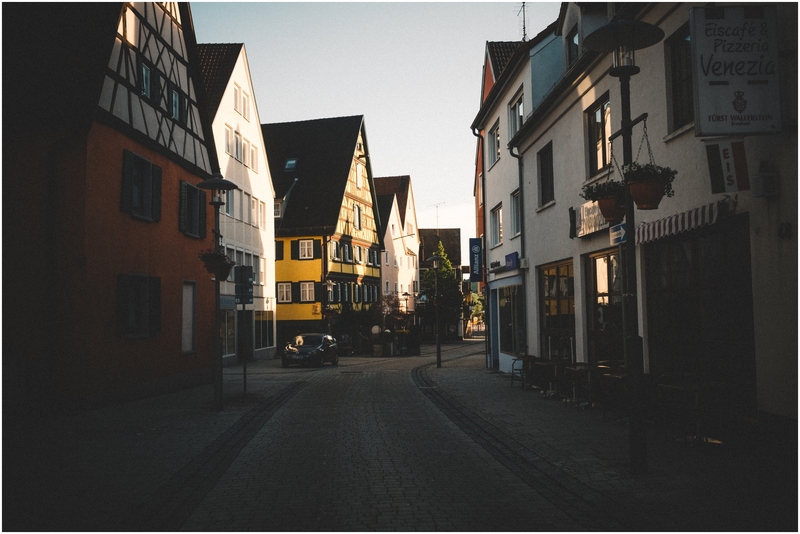 All the men had to dance with the broom – last one to had to to buy a round for all! 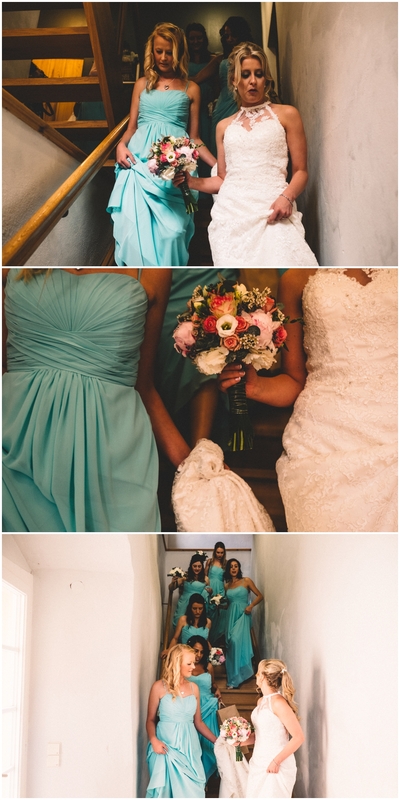 The rush to the “stage” was bloody scary and hilarious. 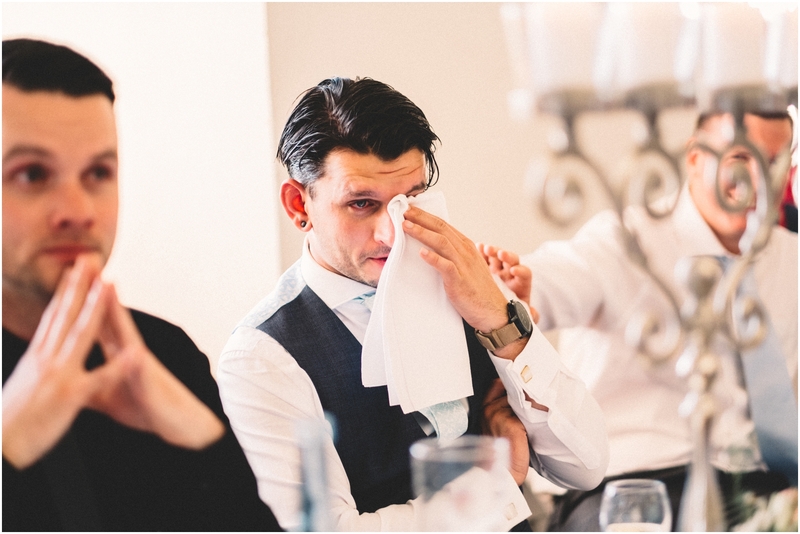 Poor best man Stephan was the last! 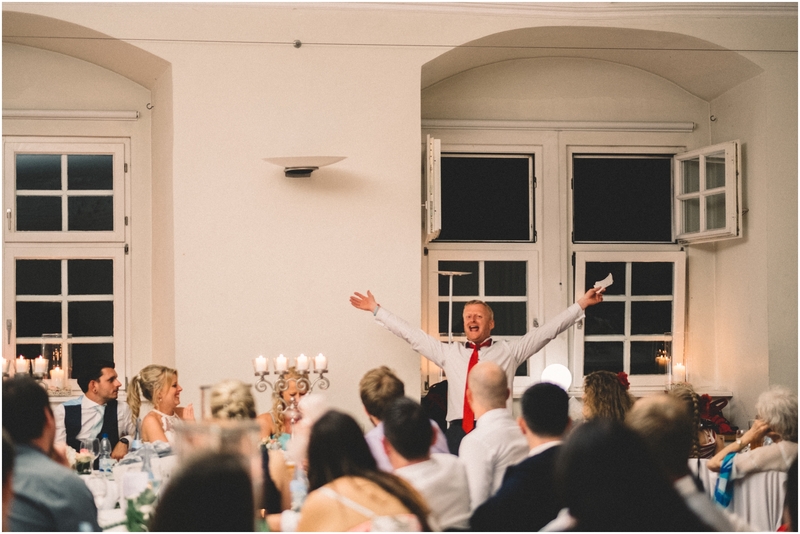 Both Dad’s speeches were great as they swapped there normal language (Kayleigh’s Welsh father delivering his speech in German and Peter’s German father delivering his in English!) 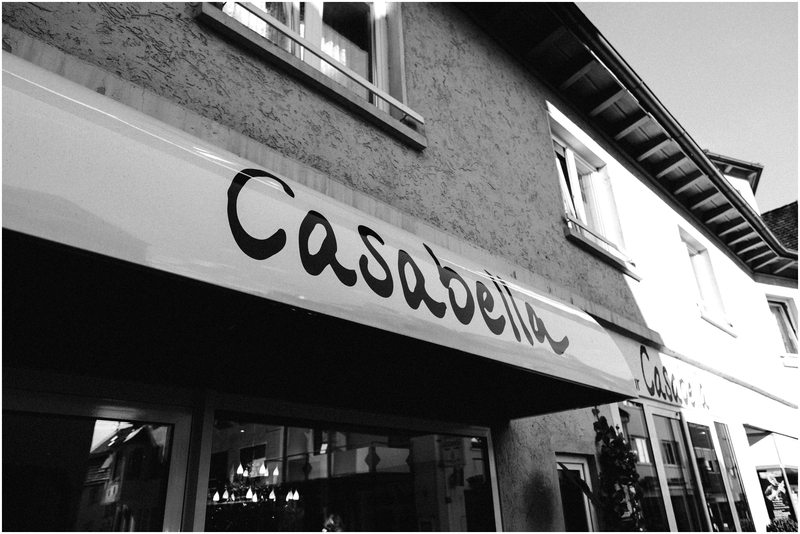 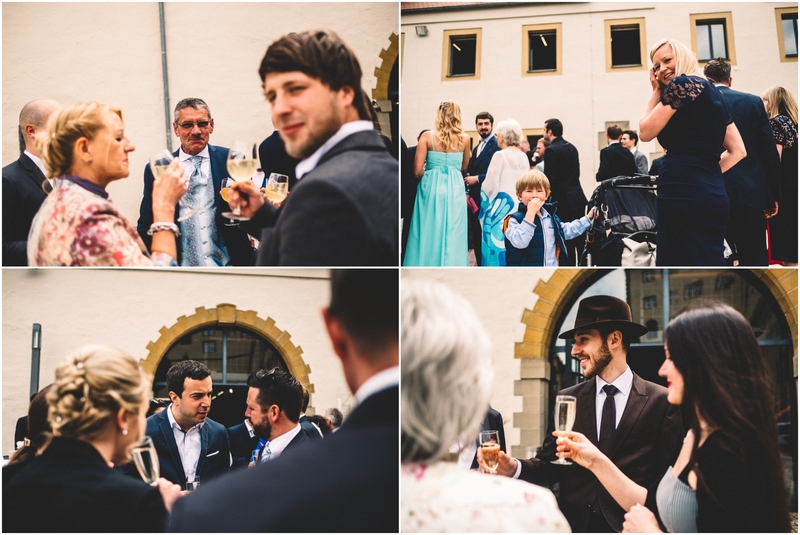 – what a fantastic effort! 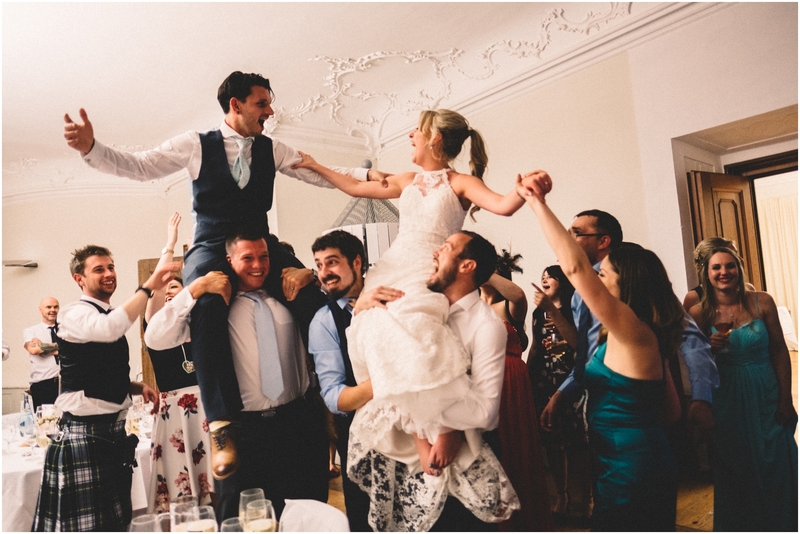 There was so much dancing and at one point the boys lifted myself and Peter up so we were on their shoulders – it was such a magical moment, I’ll never forget it! 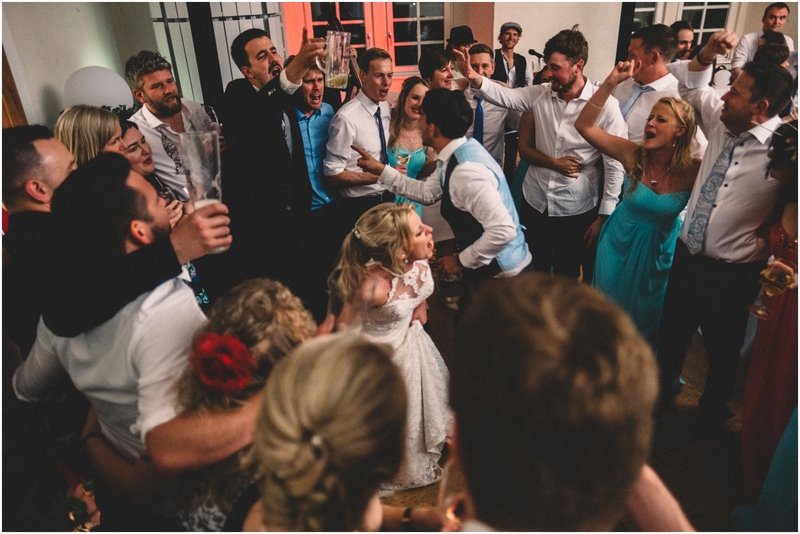 The dancing continued until sunrise as we just didn’t want it to end. 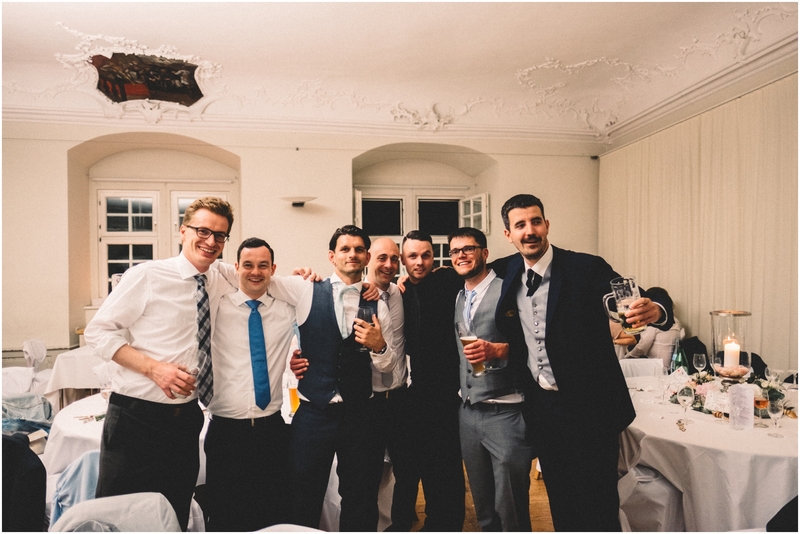 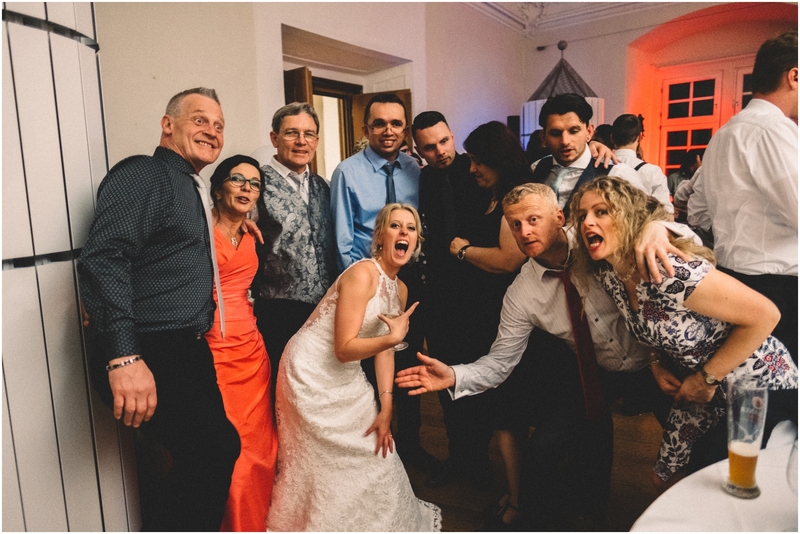 The catering manager told us the next day that they hadn’t had a party like that in over a decade – maybe this is what you get when you mix the Welsh with the German’s!! 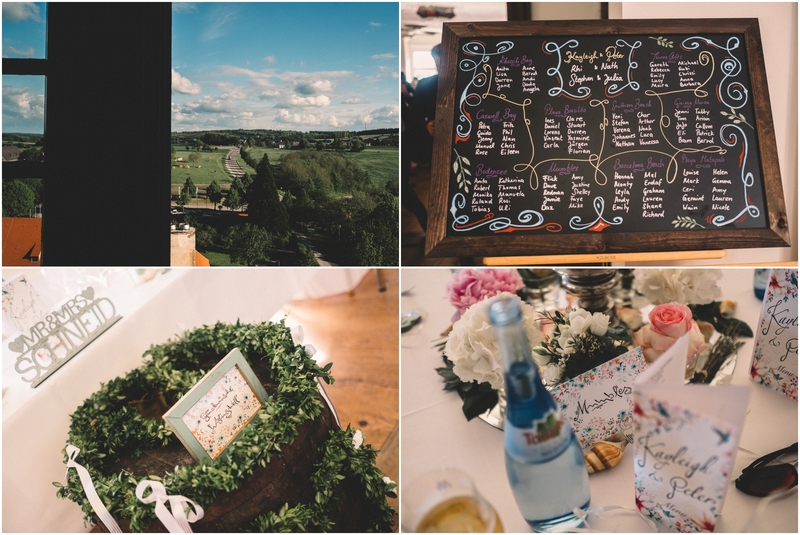 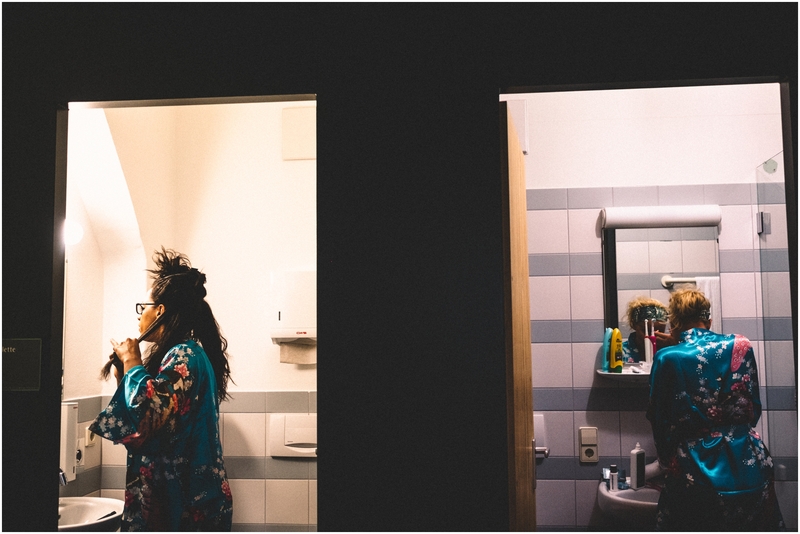 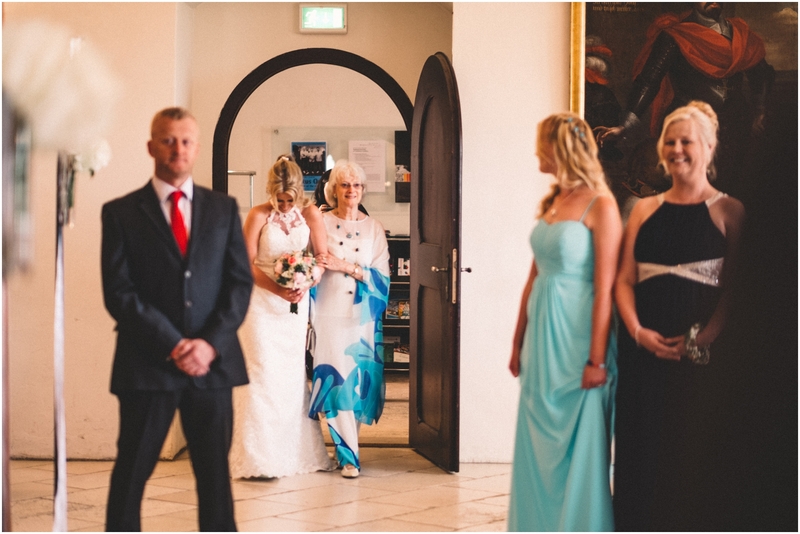 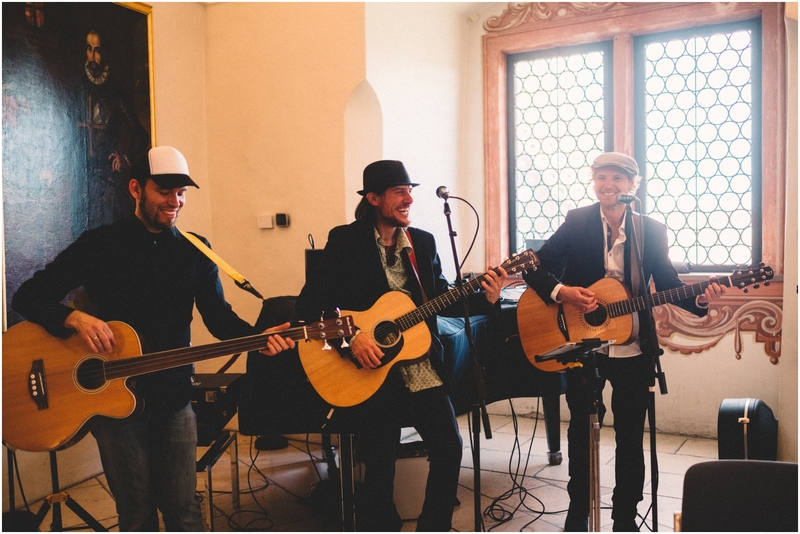 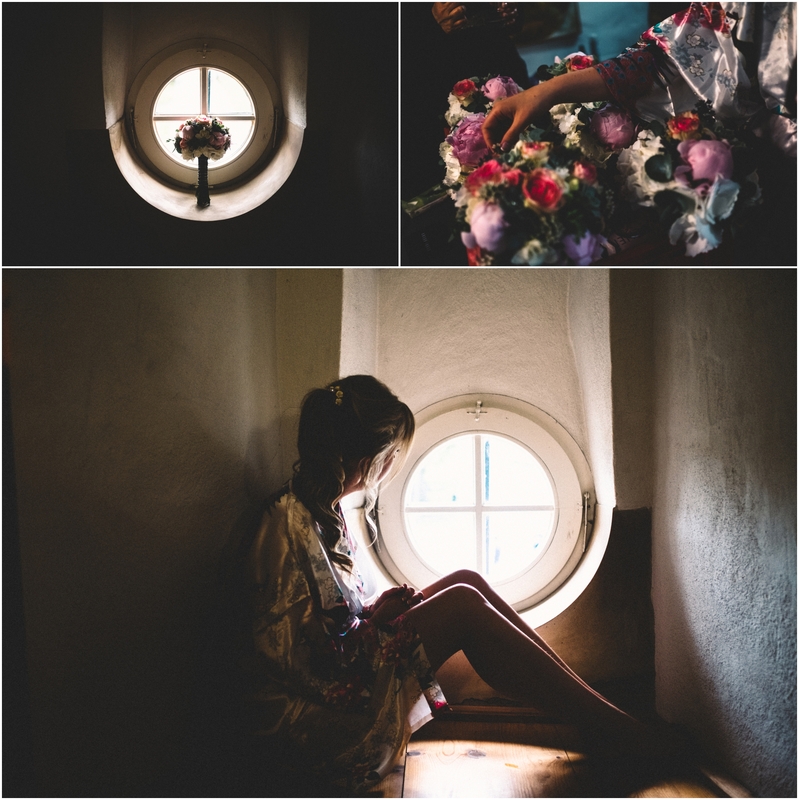 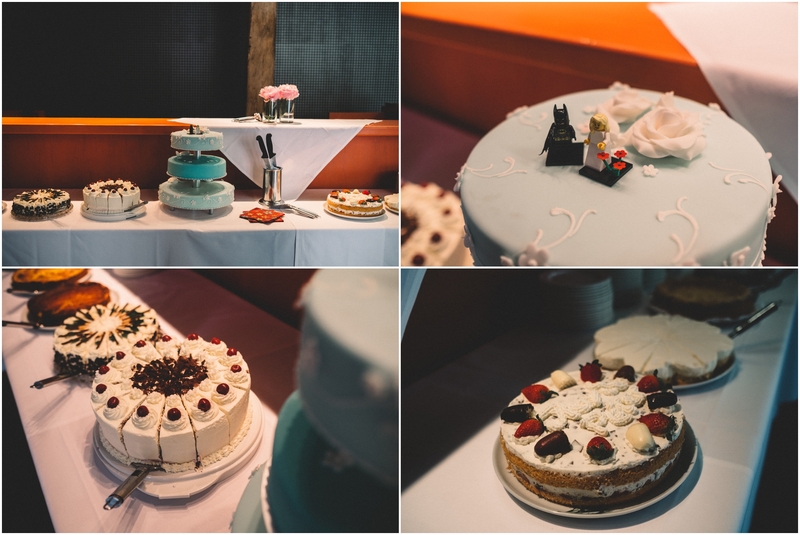 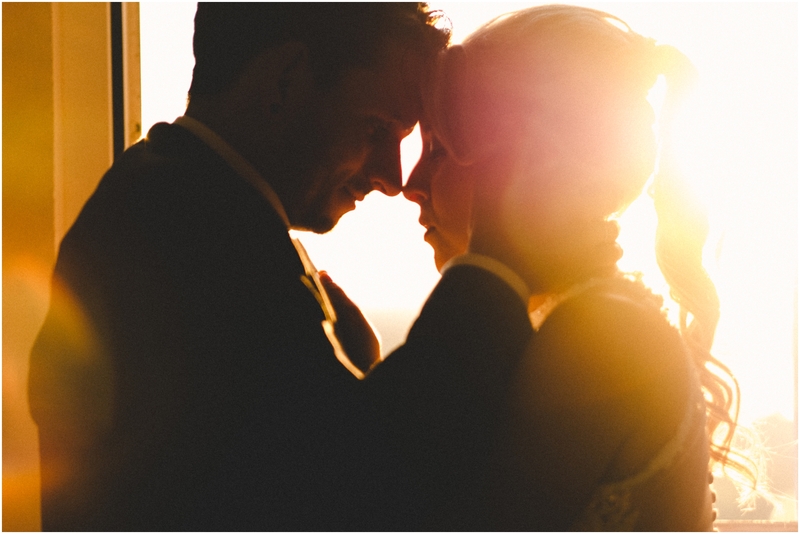 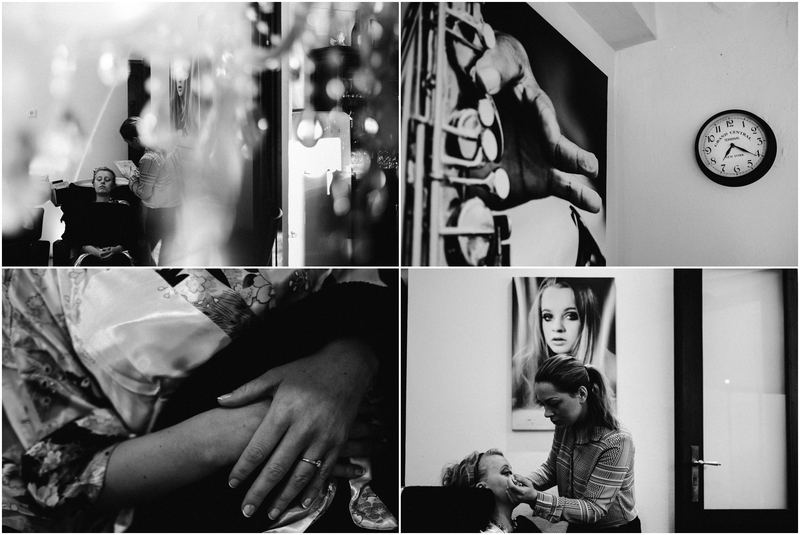 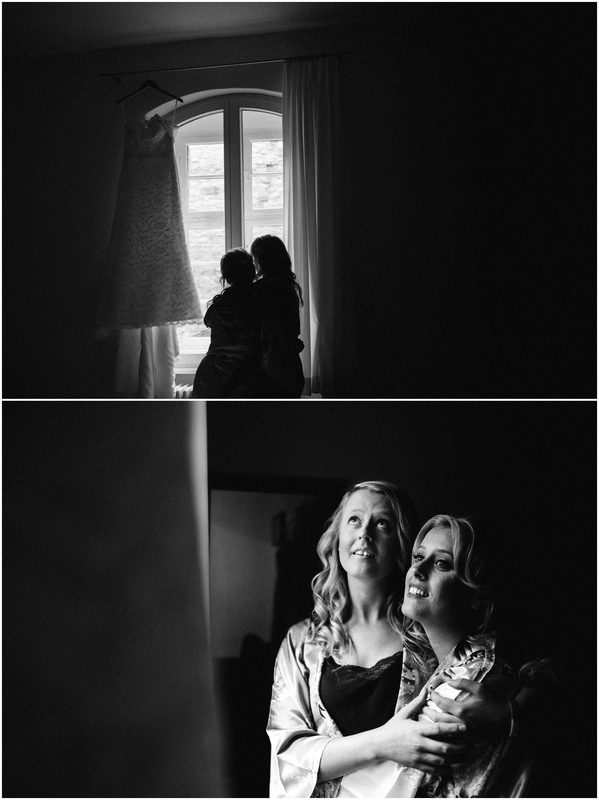 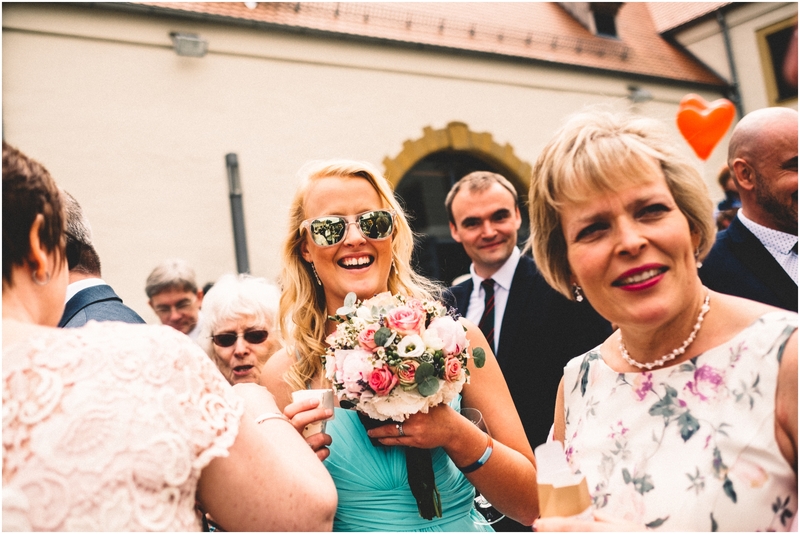 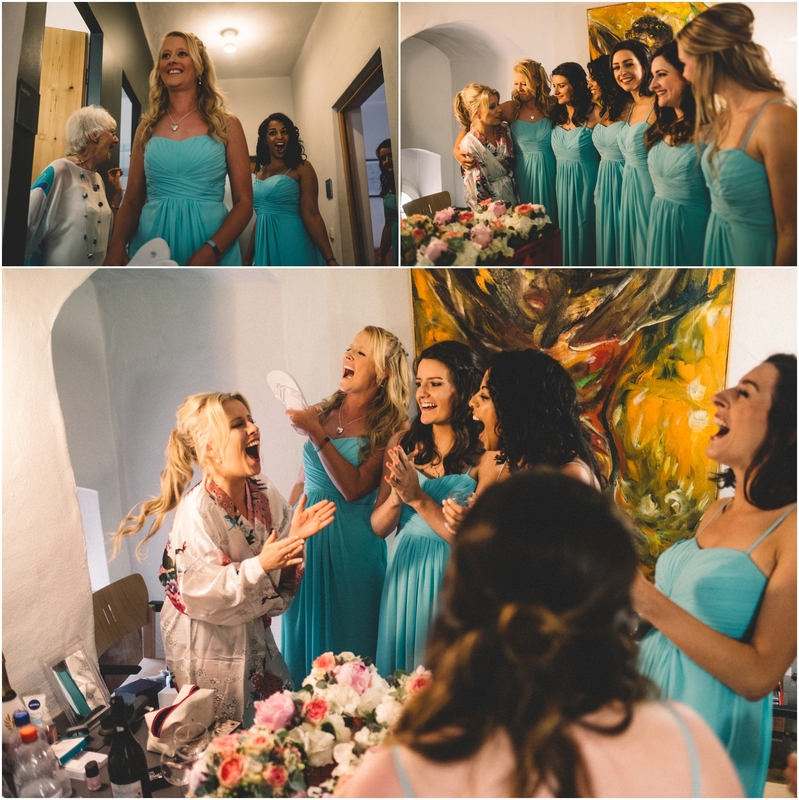 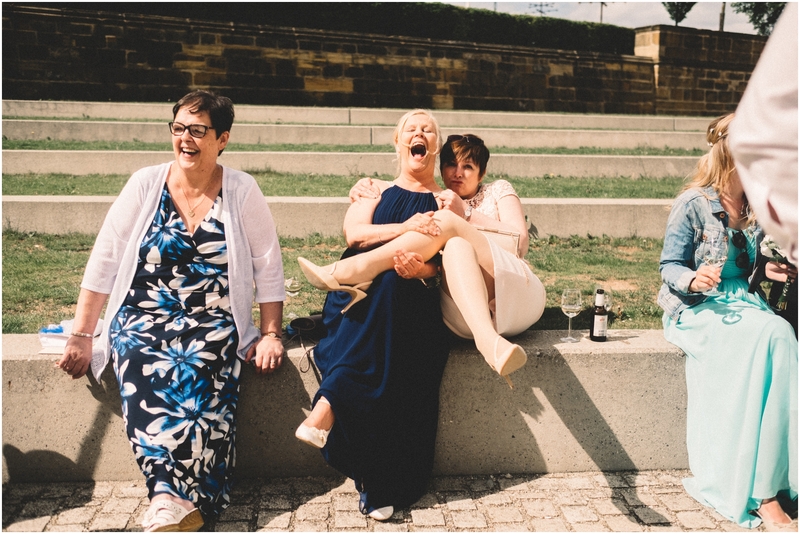 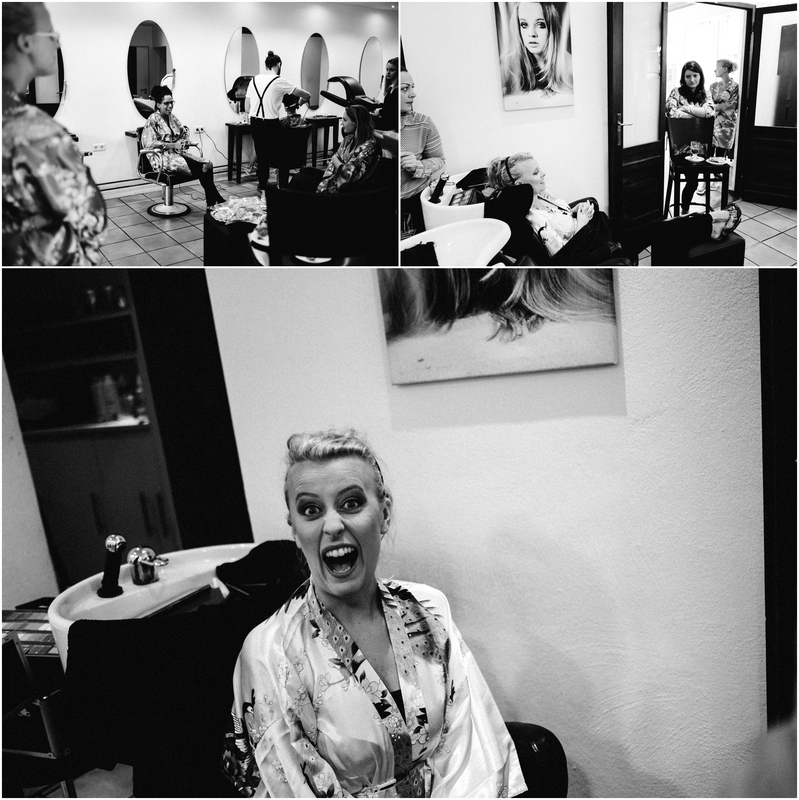 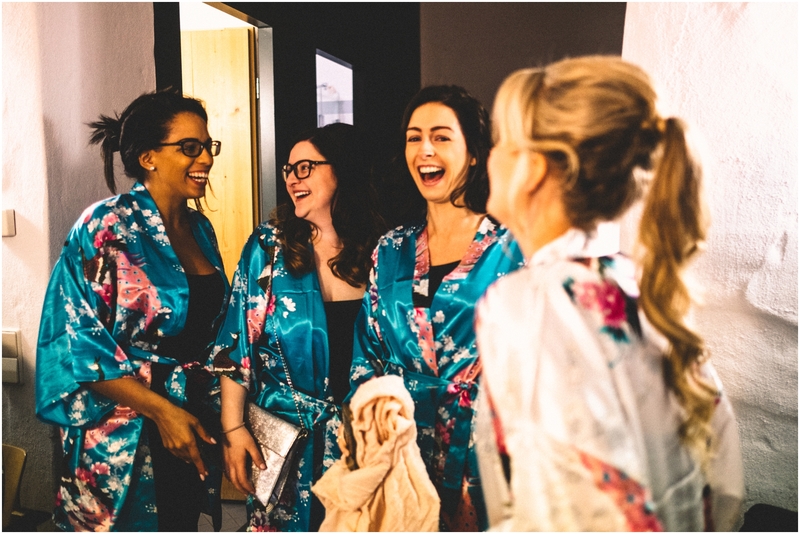 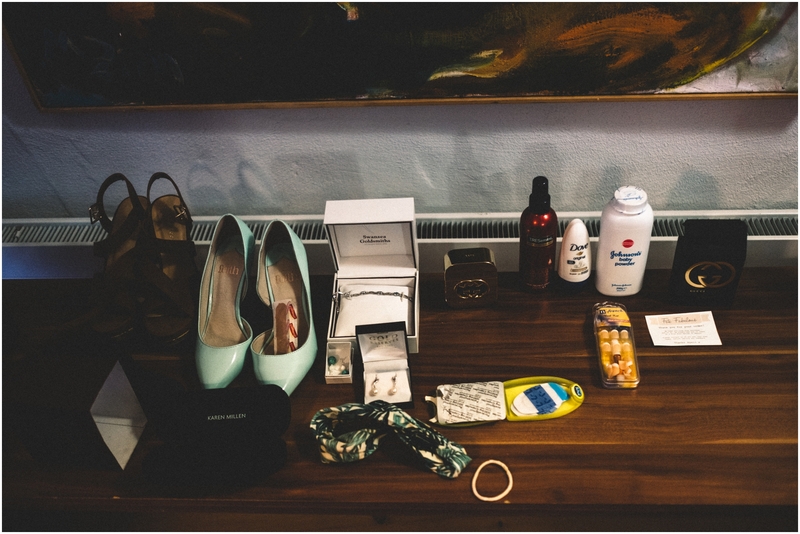 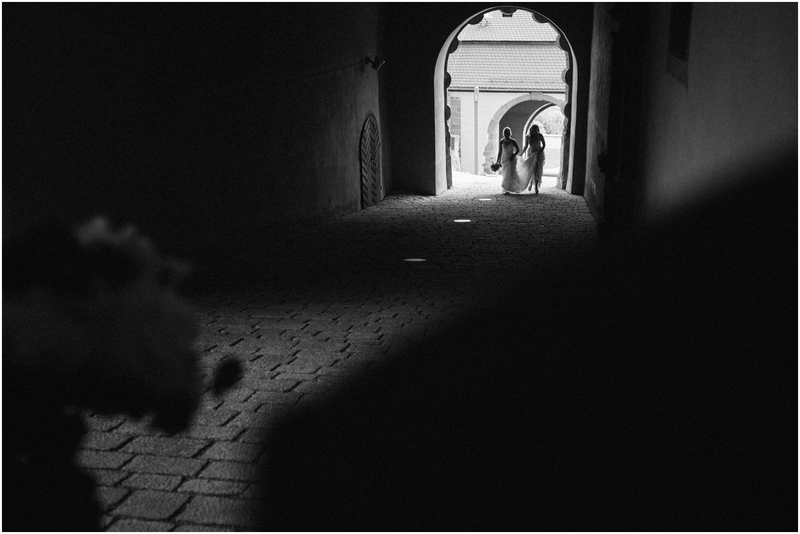 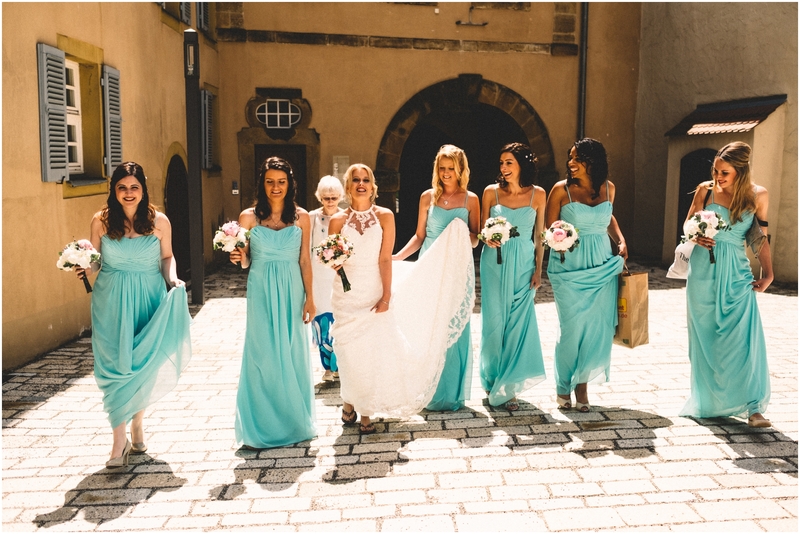 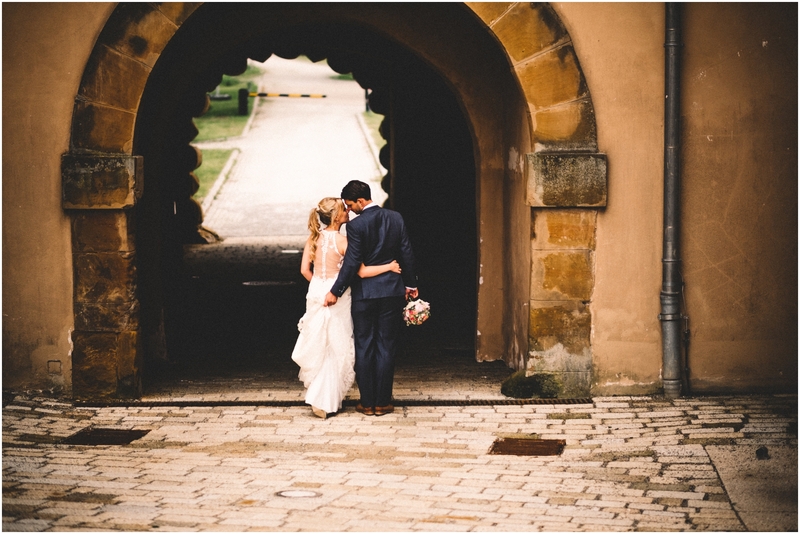 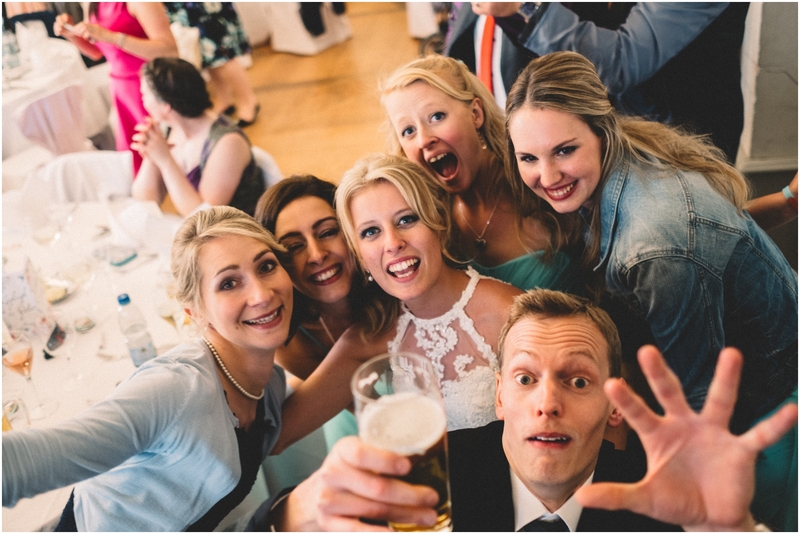 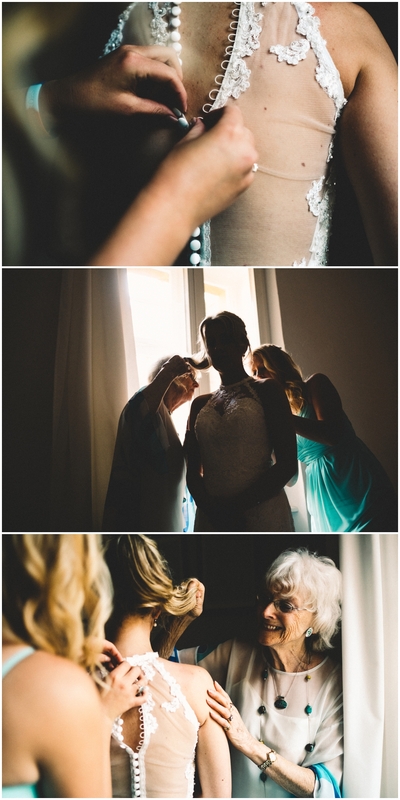 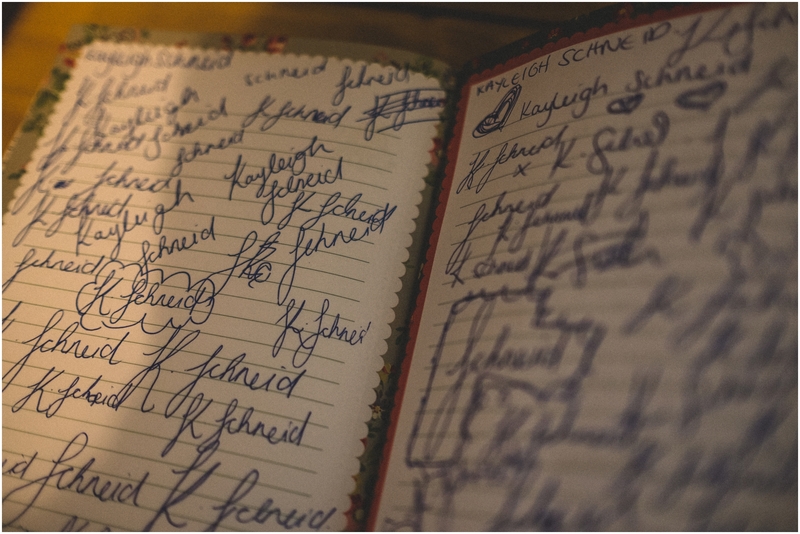 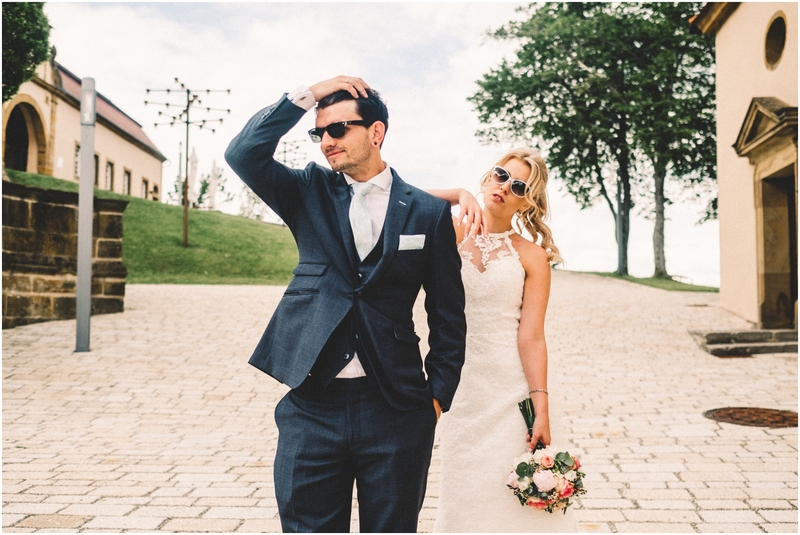 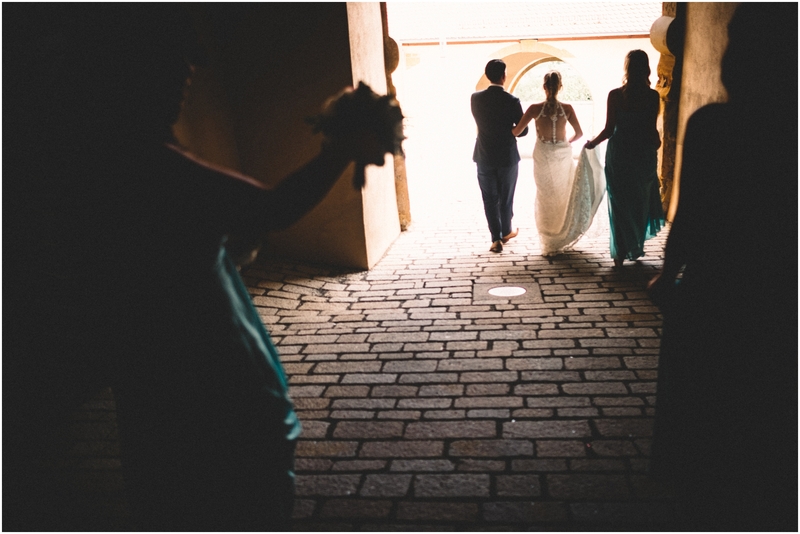 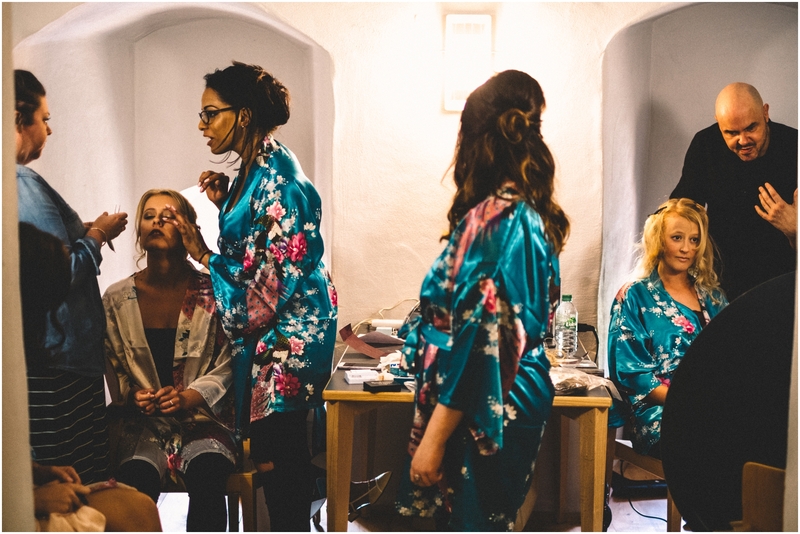 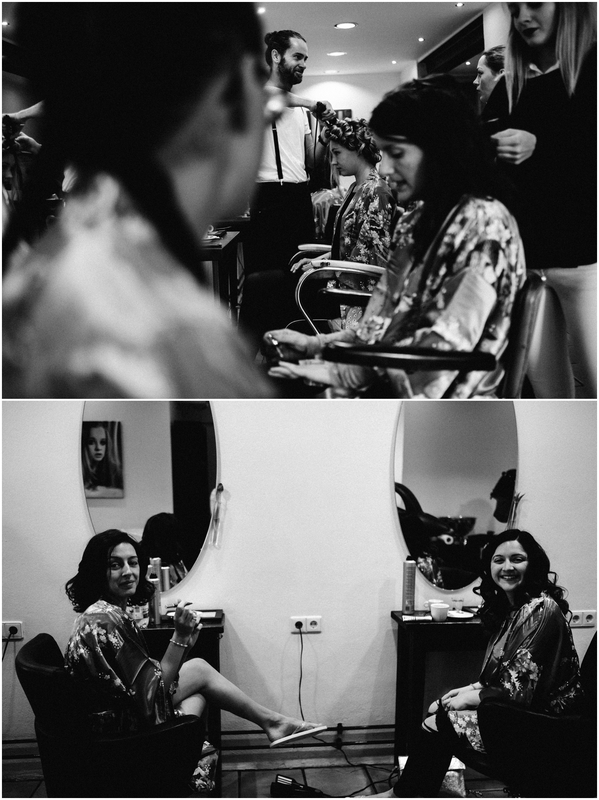 What an awesome set of images (and a super fun wedding)! 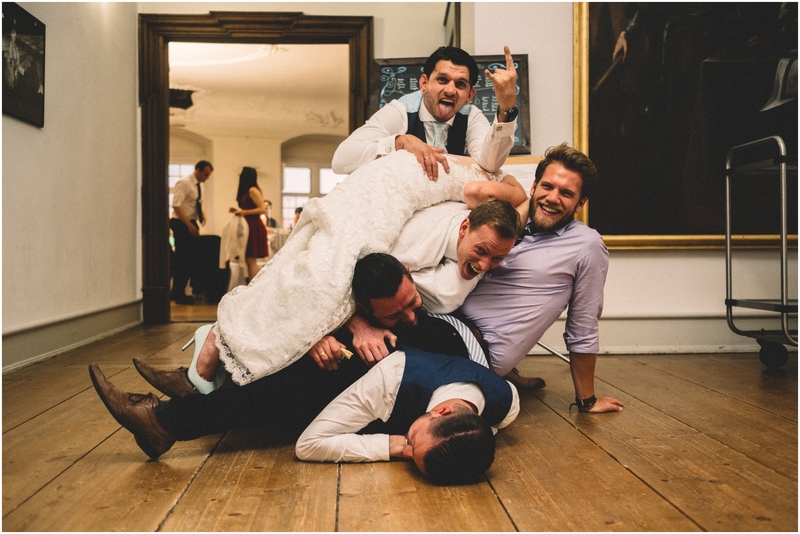 Lovely work Richard. 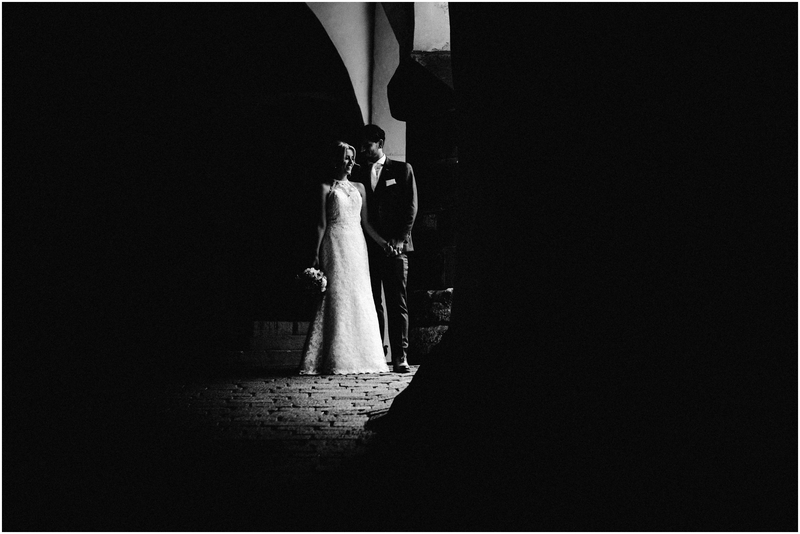 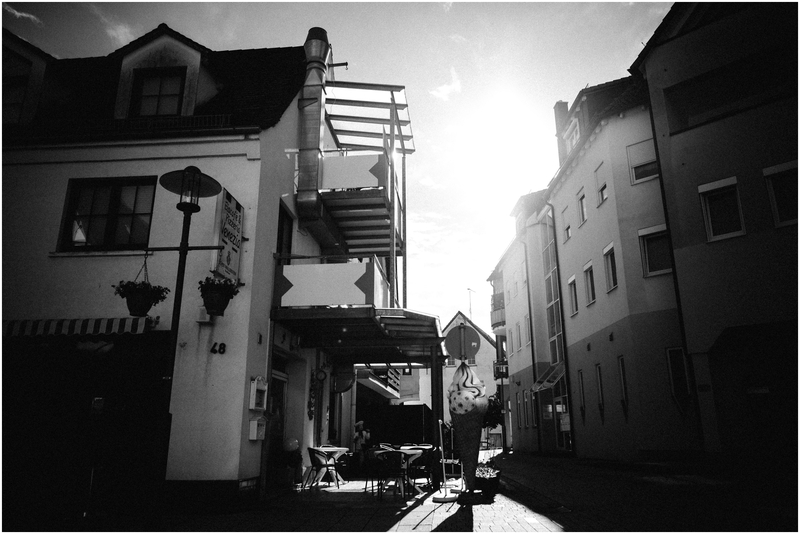 Love your black and white mix great set! 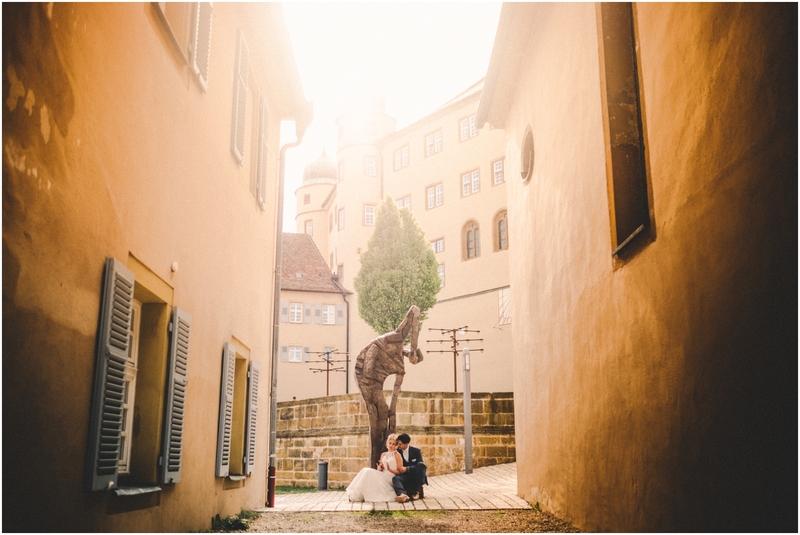 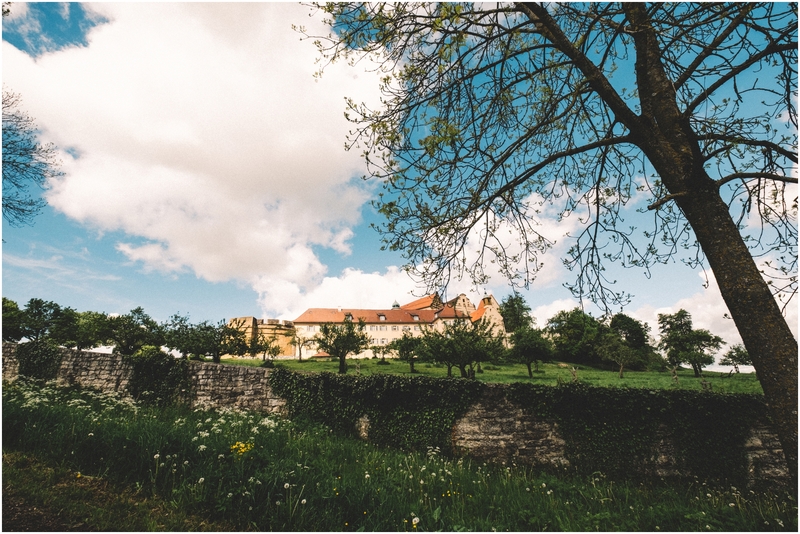 What a stunning setting for a wedding! 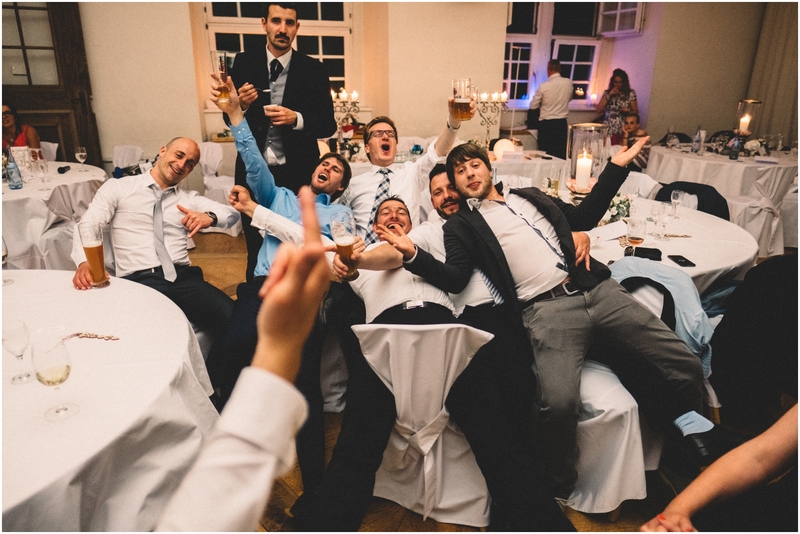 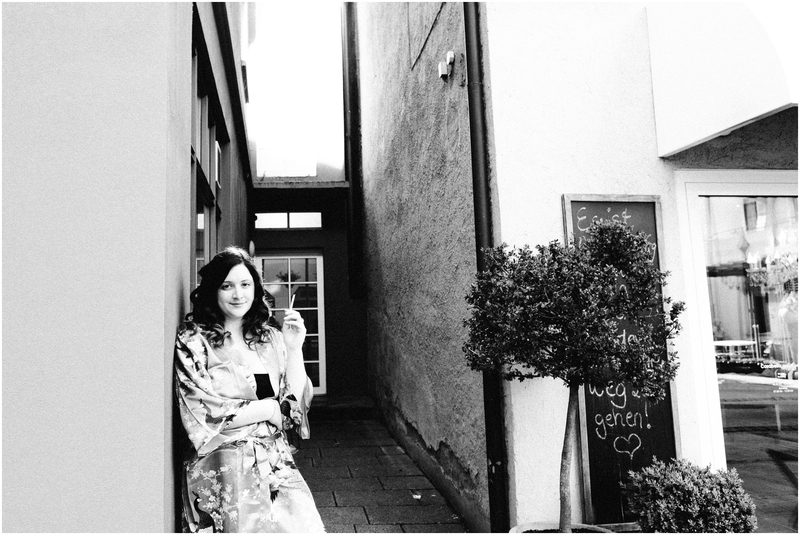 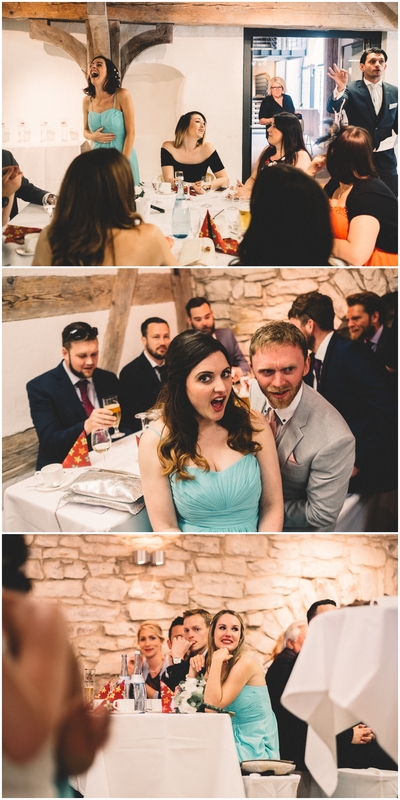 Great set of photos, such a lovely buzz at this wedding.